NACOGDOCHES, Texas — The Stephen F. Austin State University Department of Languages, Cultures and Communication will host the annual International Poetry Reading at 6 p.m. Nov. 13 at The Cole Art Center @ The Old Opera House. The event will feature SFA students, faculty, staff and community readers presenting poetry in a variety of non-English languages. Past presenters have spoken in Spanish, French, Portuguese, Japanese, Chinese, Romanian, Russian, Greek, Latin, Bengali, Elvish and more. “We ask each reader to briefly preview the poem in English, but, rather than rely on translations, we want audience members to appreciate and explore each language’s poetry on its own terms,” said Dr. Joyce Johnston, professor of French and co-coordinator of the event. Readers often ask the audience to listen for a certain onomatopoeic sound, repetition or refrain in order for the audience to better understand the poem. Readers also may share the importance of the poem to its native language’s culture. Some presenters sing poems or present original works. Fabiola Juarez, a senior political science major, has presented poems in French and Spanish. Participating in the readings in the past has taught her to be more appreciative of all languages, and she has enjoyed hearing poetry read and interpreted in different languages. The event is part of the Department of Languages, Cultures and Communication international arts series. 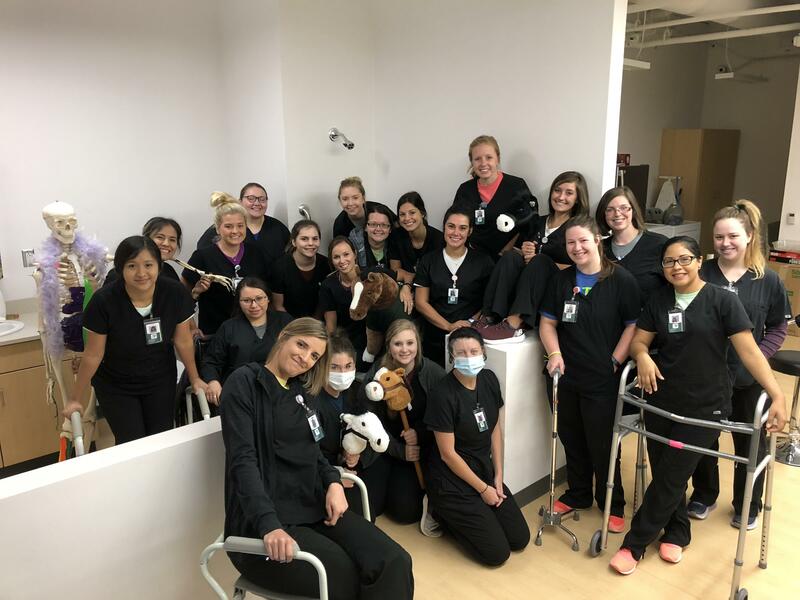 Throughout the year, the department hosts a variety of events that expose the SFA and Nacogdoches communities to international movies, books, music and more. This event is open to the public, and free refreshments will be served. For more information, contact Johnston at (936) 468-6722 or Dr. Louise Stoehr, associate professor of German, at (936) 468-2167. 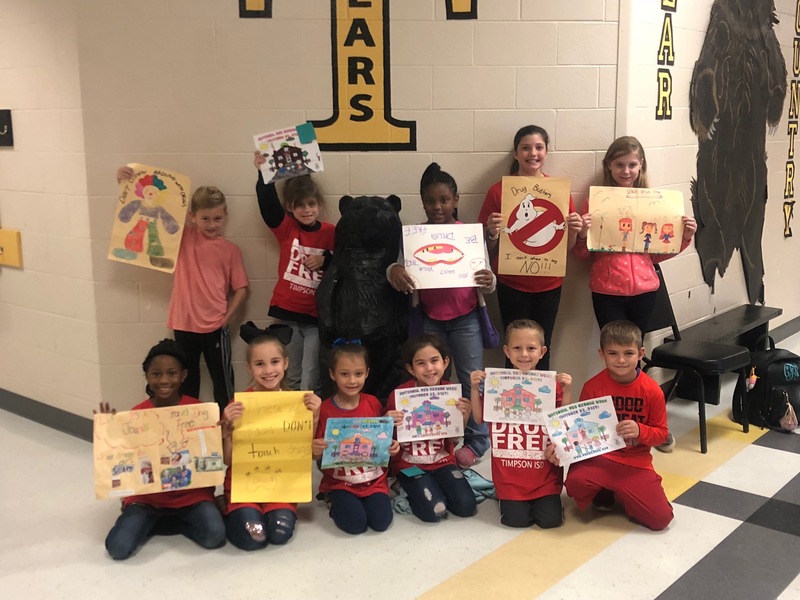 Elementary Red Ribbon Week Winners - Pictured are our winners from the Elementary Red Ribbon Week coloring and poster contests. Good job students! 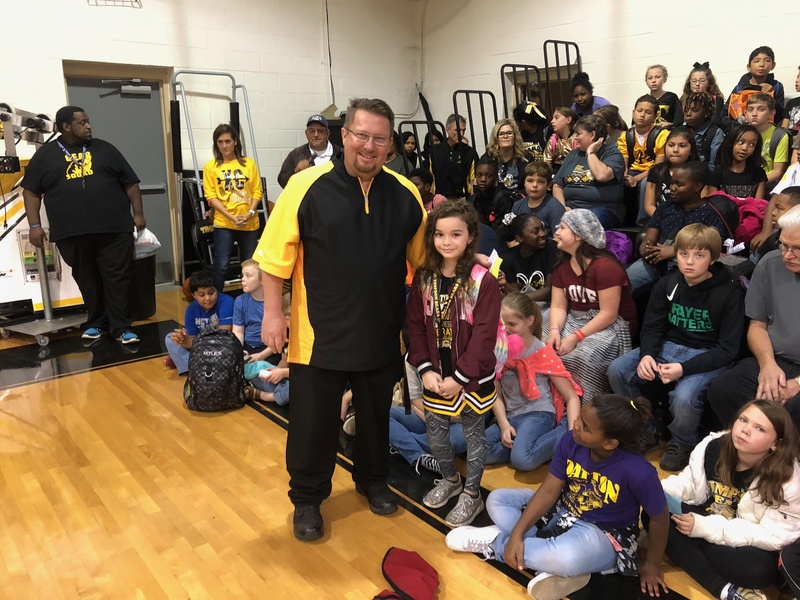 Student of the Week – See attached photo of Assistant Elementary Principal Mr. Joyner with our Elementary Student of the Week (10/26/18) - 4th Grader Miss Abigail Dunlap. Way to go Abigail! 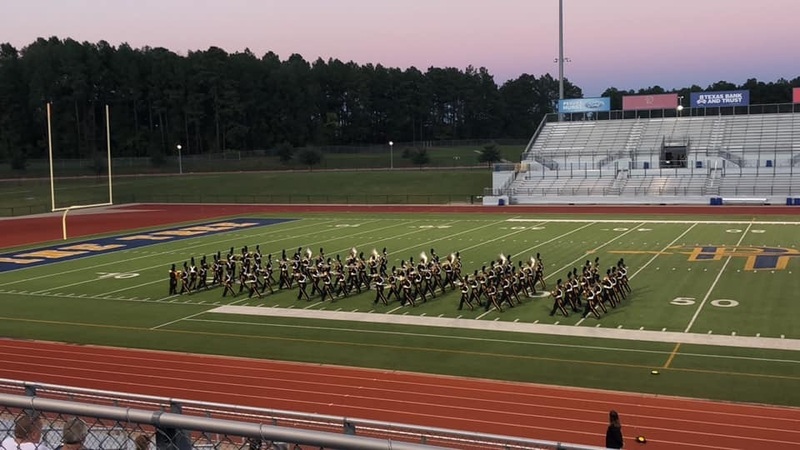 On Saturday, October 27, the Timpson High School Marching Band competed at the UIL Area C Marching Band Contest held at Pine Tree’s Pirate Stadium in Longview. Fifteen bands competed in class 2A, and the Bear Band placed second. 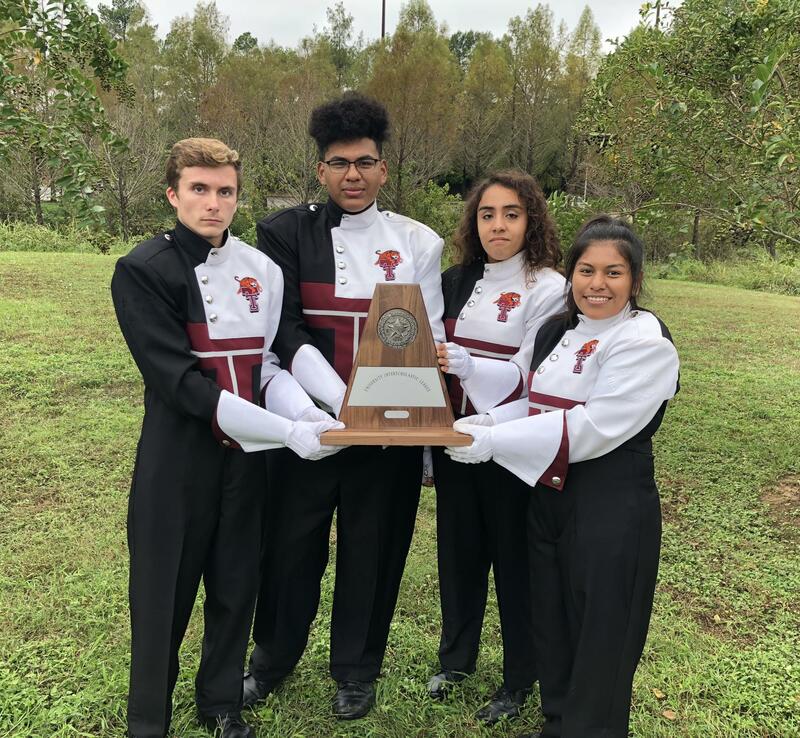 The top three bands from the area contest advanced to the state contest, which will be held at the Alamodome in San Antonio on November 6. This is the second year in a row for the Bear Band to advance to the State Marching Contest! The Carlisle and Union Grove bands will join Timpson in representing Area C at the Alamodome. Timpson will perform at 9:00am on Tuesday morning. 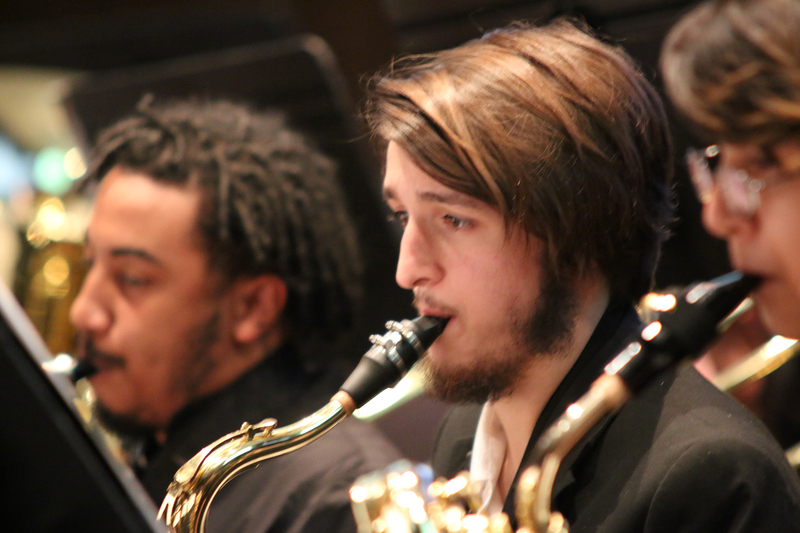 There will be 17 class 2A bands competing, and the top 7 bands from the preliminary round will perform again on Tuesday evening for the final round. See attached photos from Pine Tree performance. The band will leave this Monday morning for their trip to State and will have a rehearsal that afternoon followed by dinner in the Alamo City. The band is excited to see San Antonio again and visit The Alamo and other attractions. Marching in the Alamodome will certainly be the highlight of the trip! At the end of the contest, the band will visit Market Square and have dinner at the famous Mi Tierra Café y Panderia! Great job and good luck, Bear Band! CMS FB and JV FB will be playing at Roughrider stadium Thursday night. GAMES START AT 4 P.M.
All seniors are invited to participate in Senior Night. 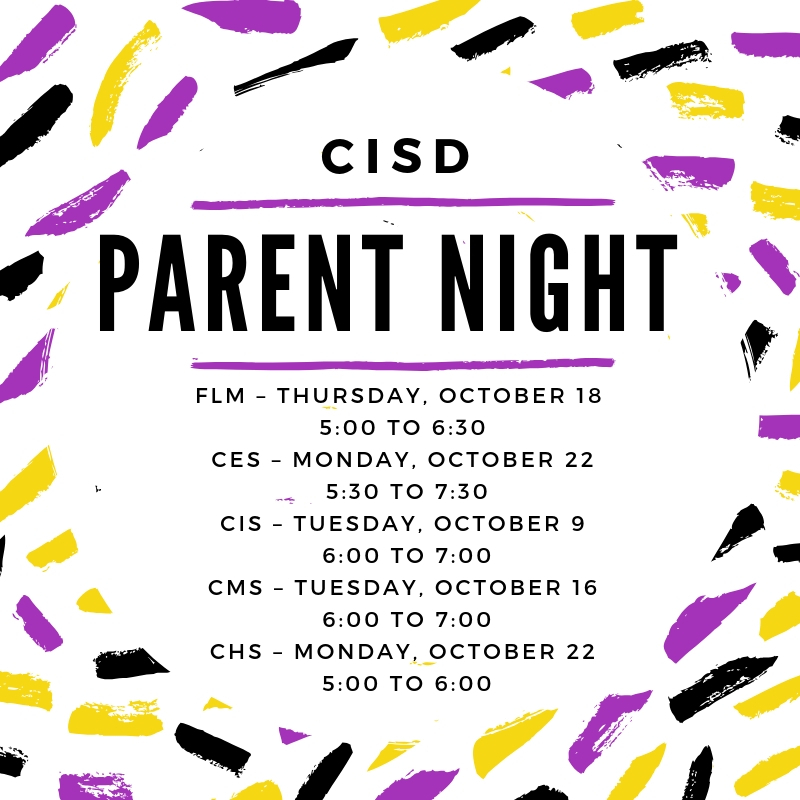 Students, parents and or guardians need to be on the field at 6:50 pm. Extended family members are asked to remain in the stands due to limited time and space. Due to field conditions, heels are not recommended. Parents will line up across from their child facing the visitors. Students will face the Tenaha fans. Groups of students will be recognized. There will be no individual recognition. The Shelbyville Band Boosters will have a meeting on Monday, November 5th at 6 PM. The meeting will be held in the Band Hall. Everyone is invited to attend. 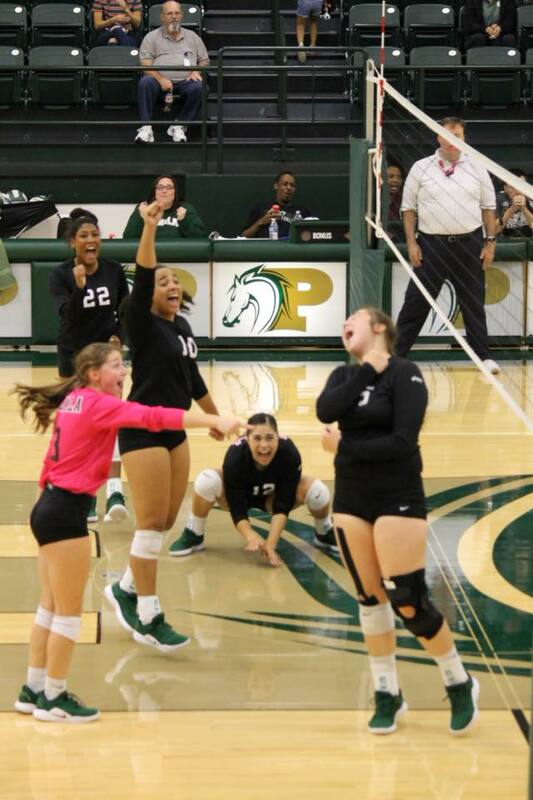 The Panola College Fillies closed out their regular season Saturday with a thrilling 5-set victory over #19 Blinn College (22-25, 25-14, 25-22, 11-25, 15-13) and a sweep of Temple College (25-13, 25-17, 25-17). Against Blinn, the Fillies were led offensively by the trio of Daphinie Correa, Thaynara Godoi, and MiKayla Ware. Correa and Ware pounded out 15 kills each, with Godoi adding 13. Correa was also a force at the net with 4 solo blocks and 3 assists. The setting duo of Molly Harris and Bri McGown dished out 49 total assists, 25 and 24 respectively, while Ware boasted another double-double adding 10 digs to her 15 kills. Hannah Ramirez came up big for the Fillies with 23 digs, many of which came against the NJCAA kills leader Shelby Sheets. In their second match of the day, Panola was once again led by Correa who notched 10 kills and Riley Seegers who added 7 kills on .500 hitting. At the net, Correa and Carol Santana were a force with 3 block assists apiece. Harris and McGown dished out 15 assists each and McGown added 2 service aces. MiKayla Ware and Hannah Ramirez anchored the floor defense with 9 digs each, while Sabrina de Lima added 8 of her own. "We battled through adversity today," said Panola head coach Amber McCray. "This was a great test for our team heading into a tough regional tournament, and I'm proud of the way we stepped up." Panola finishes the regular season 25-6 overall and currently ranked 15th nationally heading into the Region XIV Tournament as the fourth seed from the North. PC is set to play Wharton College Thursday at 7pm. Teacher of the week is Michelle Peña. Ms.Peña has been teaching for three years. She was a student before she started teaching. She wanted to teach at Shelbyville because it was a small school and it was close to SFA, which was convenient for her Master’s Degree. She is the yearbook advisor, a junior sponsor, and the UIL spelling coach. Her hobbies include sleeping, watching movies, and reading. Her favorite sports are Basketball and Softball. Her role models are her older sisters. The best part of working at Shelbyville is the awesome staff and getting to know the students better. She wishes that her students take from her class the ability to understand sarcasm and to be open to different cultures and people in the world. Her life advice for her students is to be kind to one another and if you have the opportunity to travel, it doesn’t matter where, take it. She says it feels surprising, but awesome to be teacher of the week and wants to thank the football team for thinking of her. Samantha Ferrebee, Kelsey Jones, and Rachel Powell received 1st division ratings for their ensemble performance. Rachel Powell and Jada Moore each received a 1st Division rating for their solo performances. Congratulations to our outstanding twirlers on a job well done! 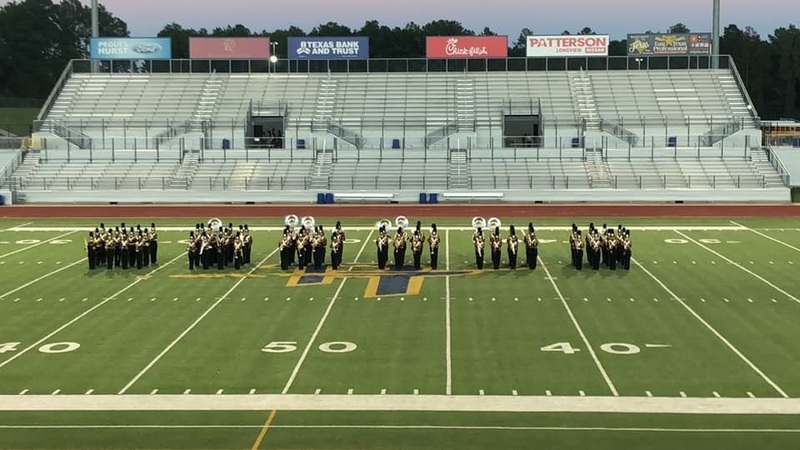 The Roarin’ Band from Tigerland competed at the UIL Region 21 Marching Contest on October 20th in Homer Bryce Stadium at Stephen F. Austin University. The band has worked hard since July to be successful in this contest. They had a great performance, and earned a division one superior rating from every judge! The band has not earned straight ones at UIL Marching Contest since 2010. With a first division rating, the band has qualified for the Area C Marching Contest held at Pine Tree High School on Saturday, October 27th. 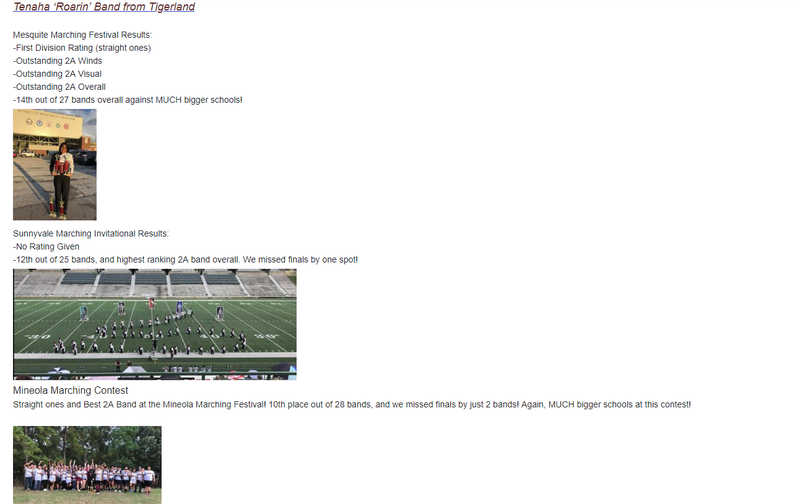 The band hasn’t advanced to area contest since 2011. The band will compete against other 2A bands from East Texas at a chance to advance to the 2A State Marching Band Contest in San Antonio on November 6th. Great Job Band! 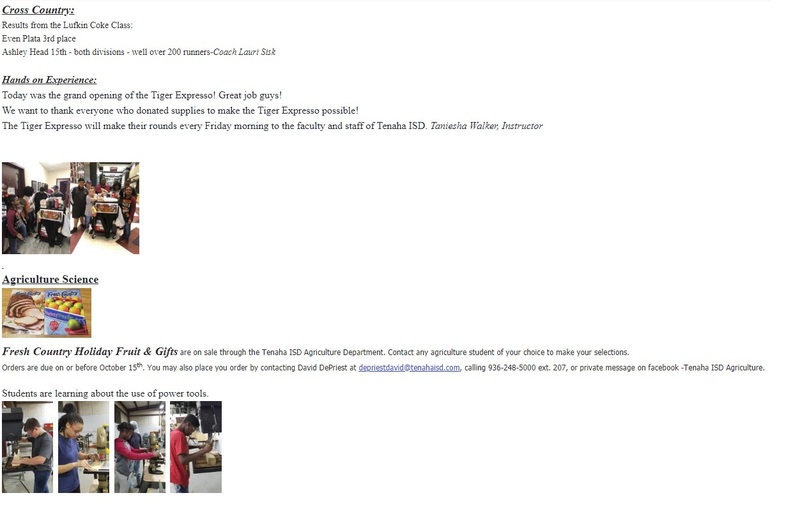 Thank you Tenaha ISD administration, TISD staff, parents, and the entire Tenaha community for your continued support of the Tenaha band program! The judges gave the band advice on how to improve before area contest, as well as some compliments. 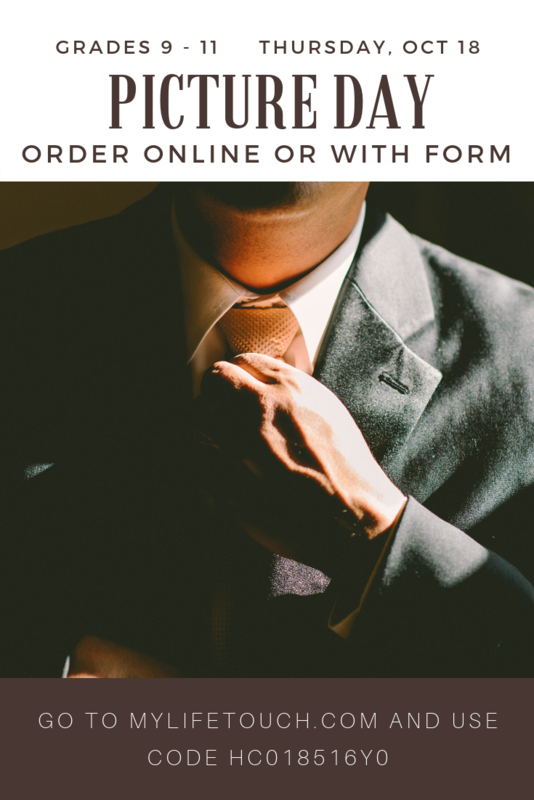 Here are a few: "Good note length and articulation.” -- "Good set arrival” --"Good Attention to Detail.” -- "Good form clarification” -- "Nice ensemble sound!" -- "Nice percussion balance” -- "Nice, mature tone qualities” -- "Great looking uniforms!" The Shelbyville Band attended UIL Region 21 Marching Contest on Oct. 20 at SFASU. The band received a 1 division rating from each judge at the contest and will perform at Area Marching Contest on Oct. 27 at Pine Tree High School (Longview - schedule is TBD). In their last Region XIV North match, the 13th-ranked Panola College Fillies fell to #6 Navarro (19-25, 17-25, 25-23, 20-25). Freshman MiKayla Ware had a career night and led all hitters with 18 kills on an impressive .421 hitting efficiency, while the combination of Alyssa Lozoya and Thaynara Godoi picked up 8 kills each followed by Rebecca Rabius adding 7. Bri McGown and Molly Harris dished out 20 assists apiece. Ware sealed up her highlight performance racking up 27 digs with Hannah Floyd adding 19 of her own. At the net, Godoi and Riley Seegers led with 4 block assists each. 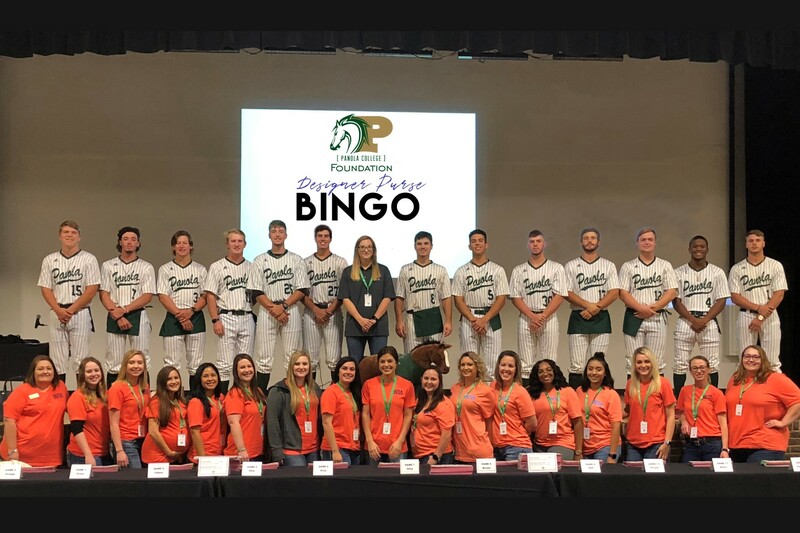 With the loss, Panola finished Region XIV zone play 2-4 and will be the 4th place seed from the north in the Region XIV tournament. In their annual Dig Pink match Saturday, the Fillies swept Brookhaven College (25-8, 25-17, 25-16). Offensively, Ware led again with 9 kills, followed by Carol Santana with 6, and Godoi with 5. McGown dished out 16 assists with Harris adding 12. Daphinie Correa led at the net with 2 block assists and 1 solo, and Hannah Floyd led the floor defense with 22 digs. Ware added 9 digs and Harris 8 in the win. The Fillies will use next weekend as one final tune-up before the Region XIV Tournament, taking on Temple College and Blinn College Saturday, October 27th, in AJ Gym at noon and 4 pm. The Center Tennis Team are Area Champions after a clean sweep 19-0 over Gatesville last night in Madisonville. The Riders will now face Palestine in the Region Quarterfinals on Monday, October 22 in Henderson. The match is set to begin by 4 p.m.
Center ISD will participate in the 2018 National Red Ribbon Campaign from October 22-26. 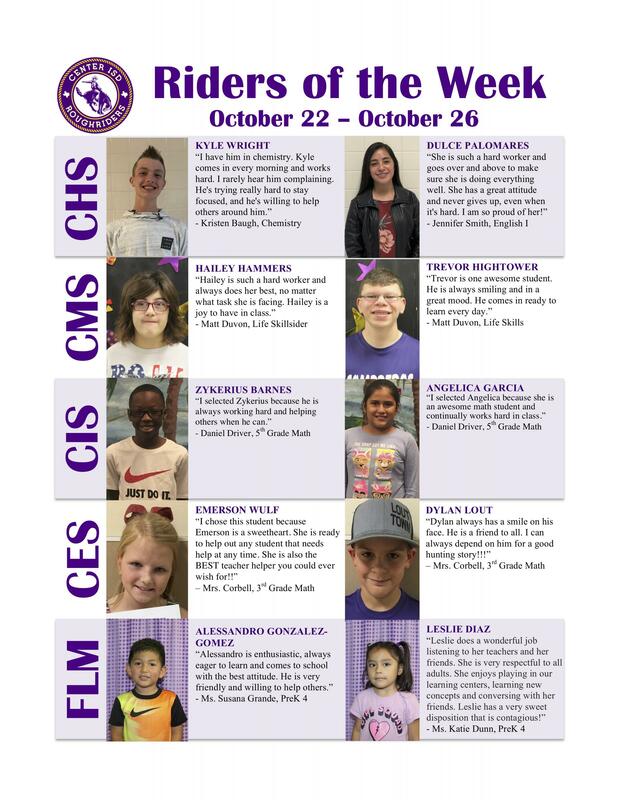 Wear Purple! Center High School is PROUD to stand up against Drugs! Monday, October 22nd – Hats off to being drug free! Wear your crazy, silliest hat or your favorite hat. Tuesday, October 23rd – Don’t get TWISTED! Don’t get Twisted up in drugs- mismatch and backwards. Wednesday, October 24th – Red Out! 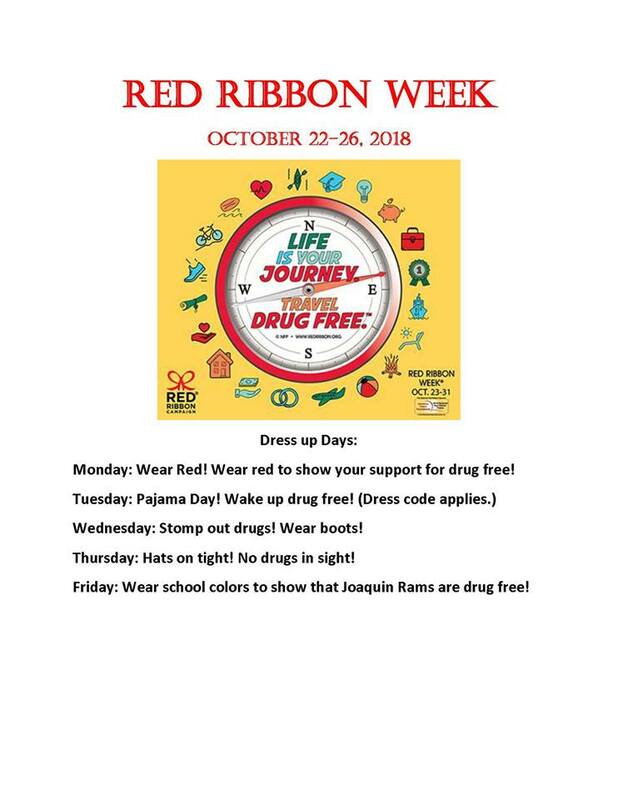 RED-y to be Drug Free! All students, staff members, and parents will wear as much red as possible to take a stand against drugs. Thursday, October 25th – Peace Out! Friday, October 26th – Winners don’t do Drugs! wear school colors- show your pride in the winning Roughriders. 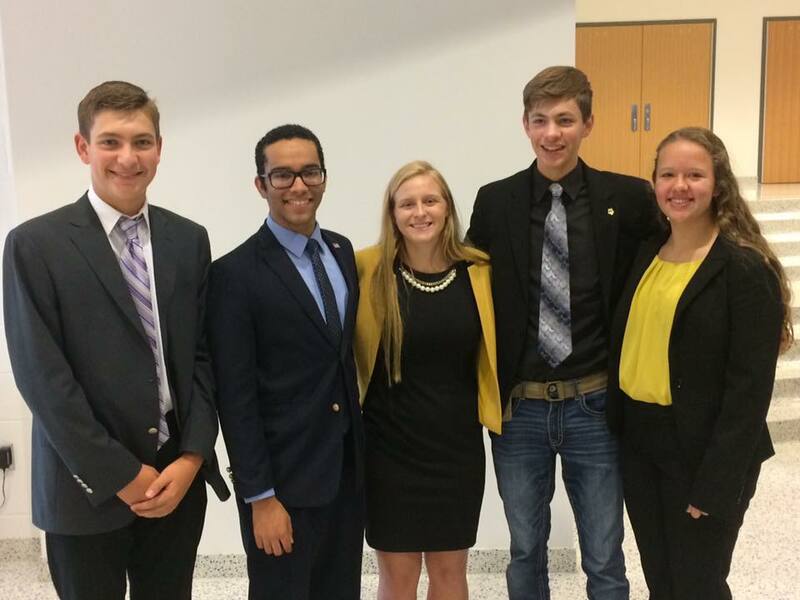 Students will be able to wear their favorite boots, not just western boots. In recognition of law and drug enforcement officers who have lost their lives in the fight on drugs. Wear your favorite sports team shirt or you can find someone to dress as your twin. Monday, October 22nd – “Tell Drugs to take a hike!" Tuesday, October 23rd – "Saying 'no' is no sweat!" Wear athletic clothes: tennis shoes, yoga pants, sweats, jogging shorts, etc. Wednesday, October 24th – "Wear Red"
Wear red in honor of fallen officers who have lost their lives while fighting the war on drugs. WEPA (WE Print Anywhere) print is now available at Panola College. 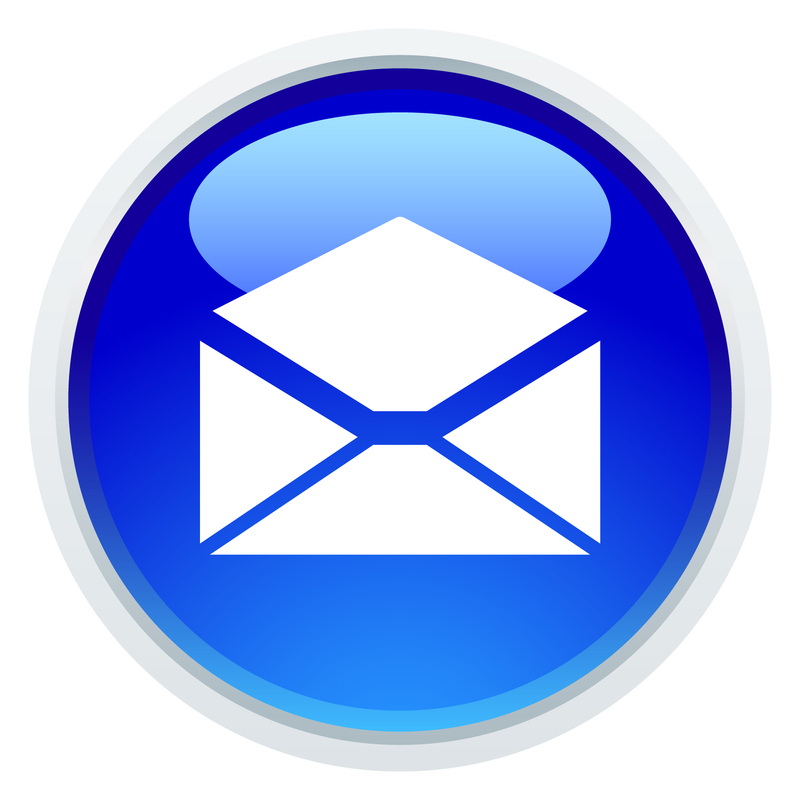 WEPA print allows students to send documents from their laptops and other devices to the cloud-based printing service. There is no need to wait for the library to open to be able to print anymore. Students can send documents before they leave home and simply print when they arrive on campus. This allows students to send documents to the cloud at any time that is convenient to them and print on demand at the kiosks. · The M.P. Baker Library (second floor). This station also has a scanner for copying. · The Charles C. Matthews Foundation Student Center (first floor by the cafeteria door). · The Health and Natural Sciences Building (first floor in the hallway behind Dean Reed-Hirsch’s office, near OT area). If a student leaves Panola and still has funds on their WEPA account, the funds will be returned to the student if they wish. If the student transfers to another school using WEPA, they can continue to use their existing funds on their account at that institution. 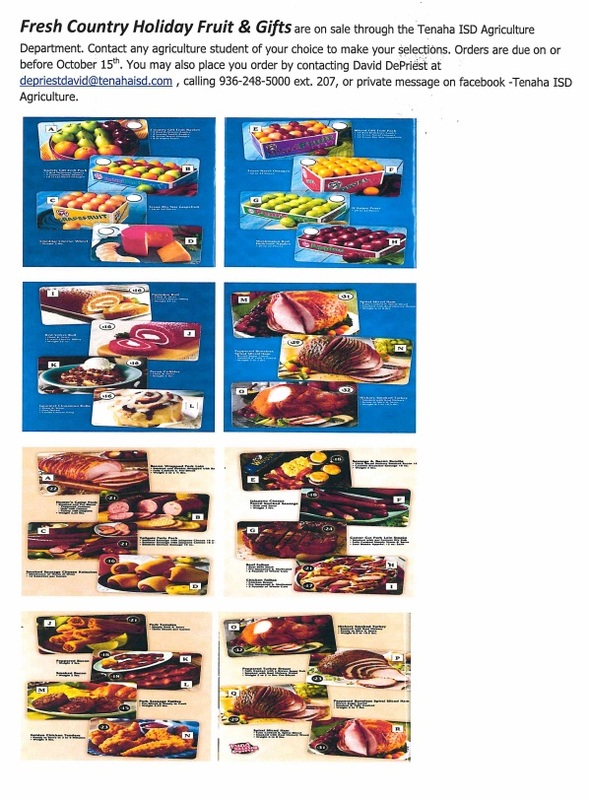 The prices are: Single-sided black & white – $.09, Two-sided black & white – $.17, Single-sided color – $.25, Two-sided color – $.47. 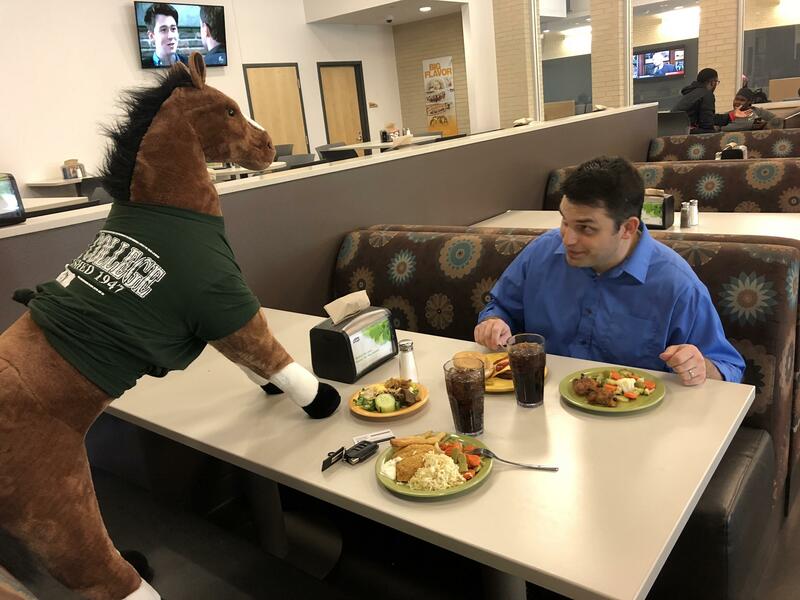 Panola College is excited to continually offer the latest technology to students to improve their college experience and help them be successful in their courses. Community members are also welcome to use the printers, but it is encouraged that they use a print card or set up an account because the kiosk charges a $.49 cent fee for not making a $5.00 purchase if a credit or debit card is used. For more information about printing, you can go to www.wepanow.com or email library@panola.edu. REGISTRATION DEADLINE HAS BEEN EXTENDED TO FRIDAY, OCTOBER 19. During the week of October 22nd through October 26th the CHS Chaparrals will be hosting a mini-camp. 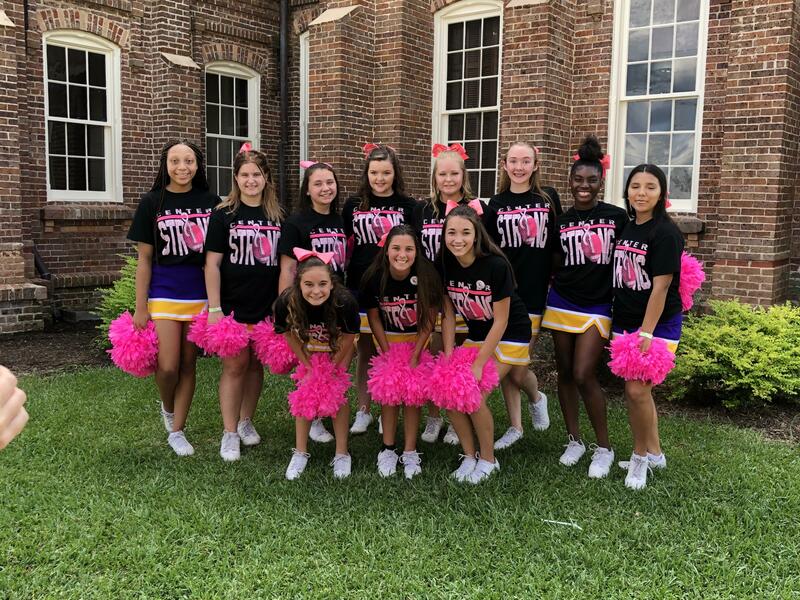 On Friday, October 26, 2018 all camp participants will perform a pom routine learned at camp on the field before the game. They will be led by members of the CHS Chaparrals. Performance Date and Time: Friday, October 26th, Pre-Game begins at 7:00. Please have all campers meet the Chaparrals on the track by the concession stands at 6:45. After performing the girls will remain on the field with the Chaparrals for pre-game activities. You may pick your camper up from the Chaparrals designated seating area after the game begins. 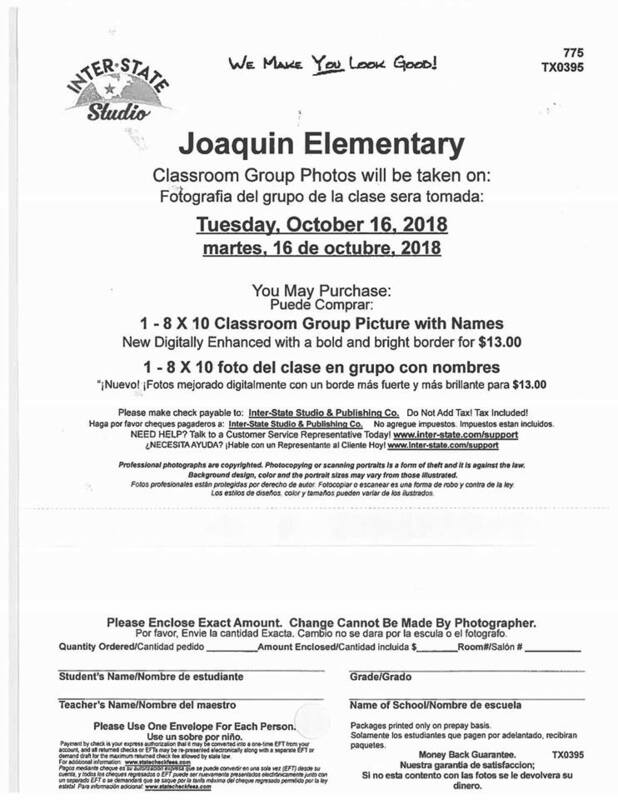 Picture day for grades 9-11 is THURSDAY, OCTOBER 18. Senior Portraits will be taken on November 29 and 30. The Thursday night Joaquin ISD Junior High football game has been canceled due to field conditions. October 18, 2018-JH/JV vs Harleton ISD May not take place as field is a mess due to weather per Harleton Coach Ward. Boys' Varsity team 3rd place and regional qualifier. Oscar Flores placed 2nd overall 5K with a PR of 18:10. Araceli Vazquez placed 10th overall and qualified for regional’s. Jr. High boys' team placed 2nd. Evan Plata placed 2nd overall and ran his best PR for the 2400m in 9:00 minutes. Ashley Head placed placed 4th with a run time of 10:53 in the Jr. high 2400m division. 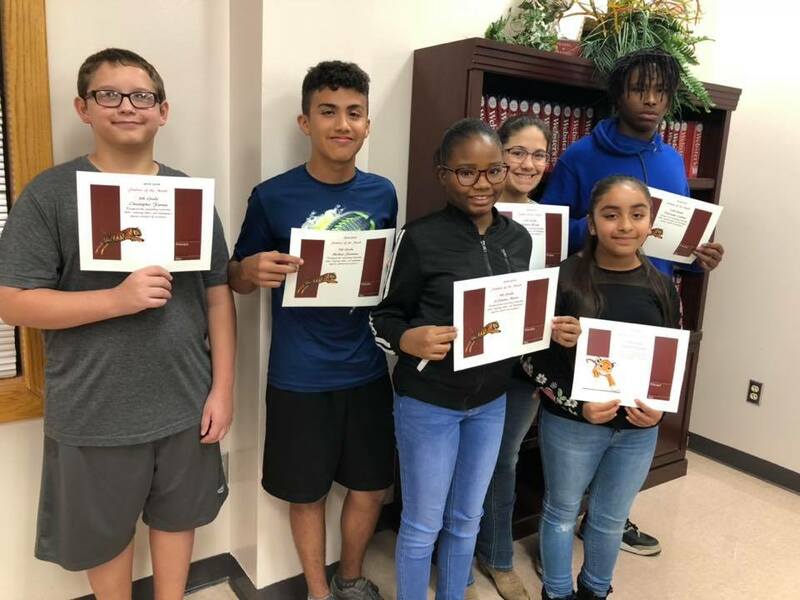 Students of The Month were recognized at the School Board meeting! 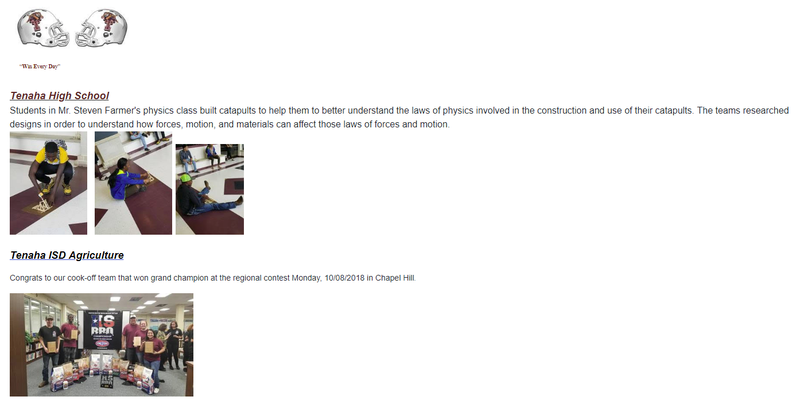 Collegiate Center News- Jazz Rogers has been hired at ETech! Her starting wages increased by over $2.00 simply because she had acquired her MicroSoft Office skill set. Super excited for Jazz and would once again like to encourage every THS student to choose a certification that interests them. SAT Testing - Mrs. Metcalf blessed all of our Junior and Senior students with the opportunity to take the SAT right here on our campus. The students were able to test here in Timpson, during the school day, at no cost to them or their families. Mrs. Metcalf and Mrs. Dawson tested right at 60 students. 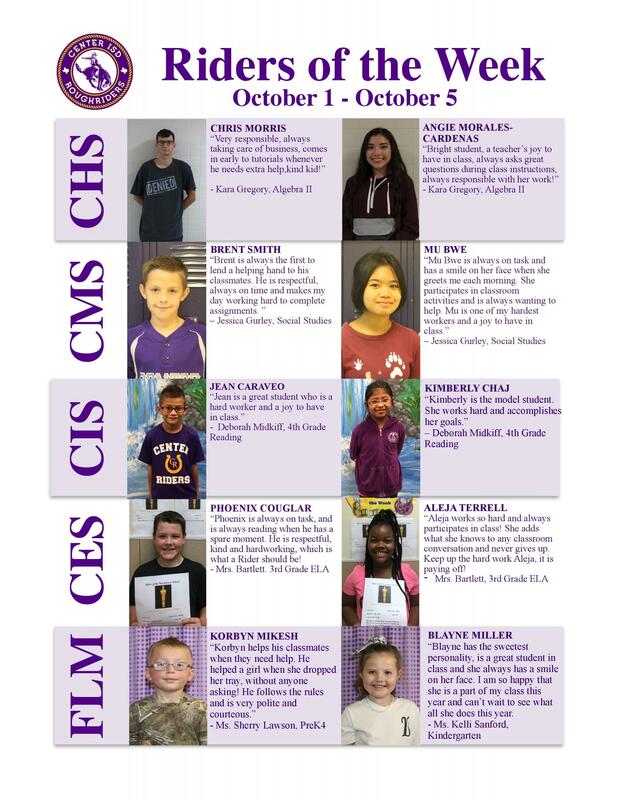 Our district continues to provide opportunities for our students that most schools do not. 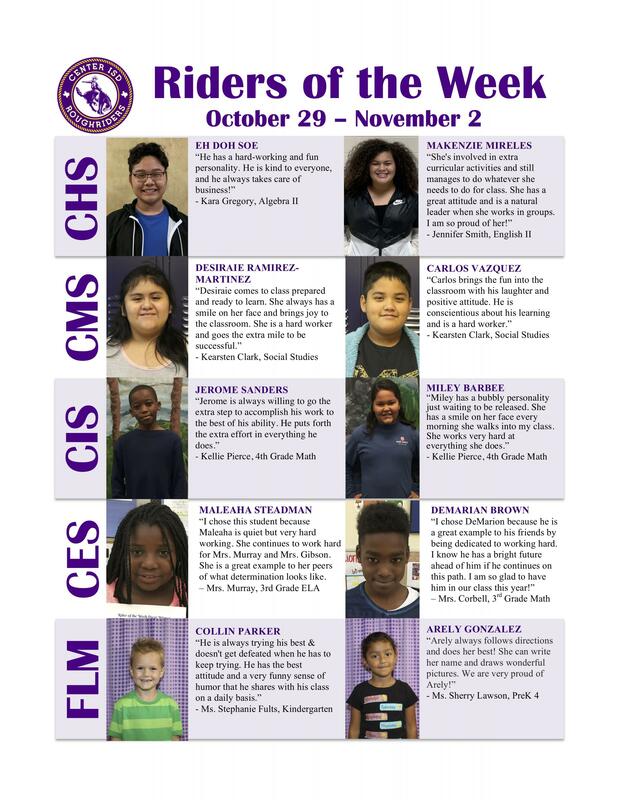 A big shout out to our STUDENTS and PARENTS for the success our students are having thus far! Our attendance has been fabulous and thus our grades have been terrific. Timpson HS has 141 out of 213 on the A and A/B Honor Roll. 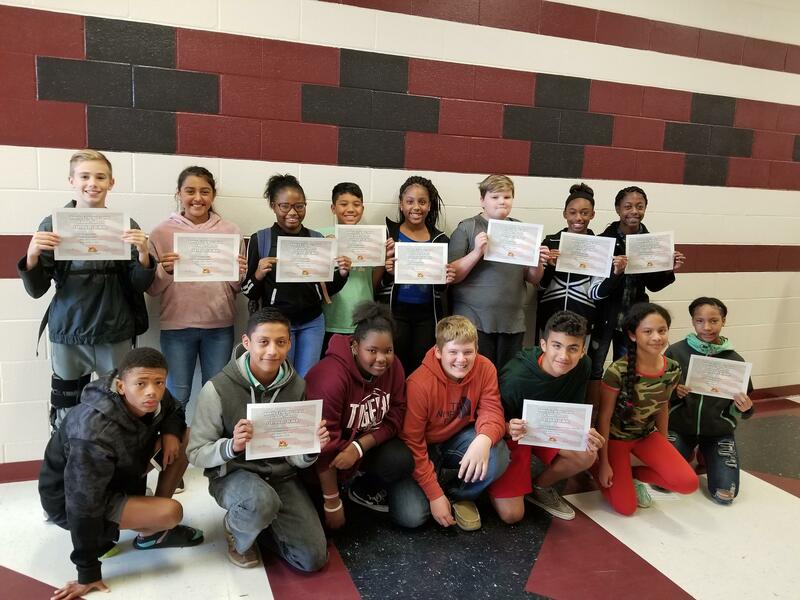 Timpson MS has 63 out of 149 on the A and A/B Honor Roll. 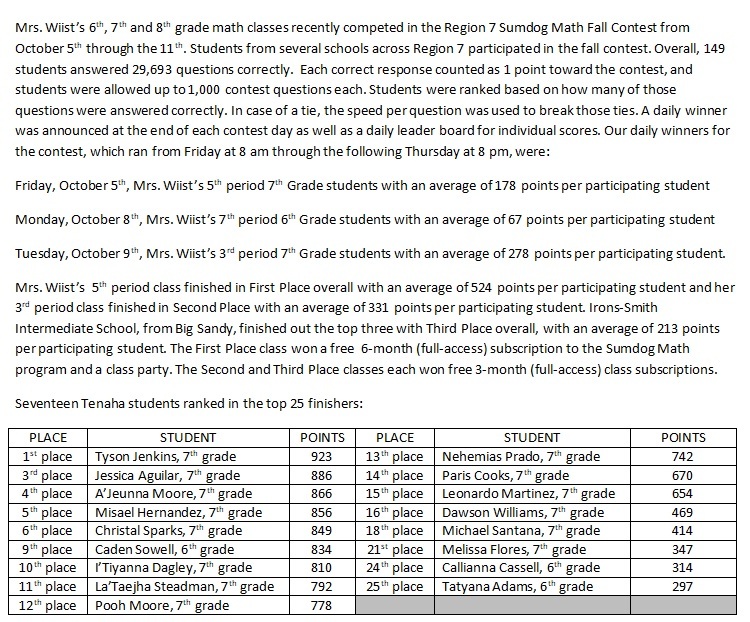 Junior Class is Leading the Way on Attendance and Honor Roll on the Secondary Campuses!!! Being Successful is conducive to showing and doing your work. Keep it Up BEARS!!!!! 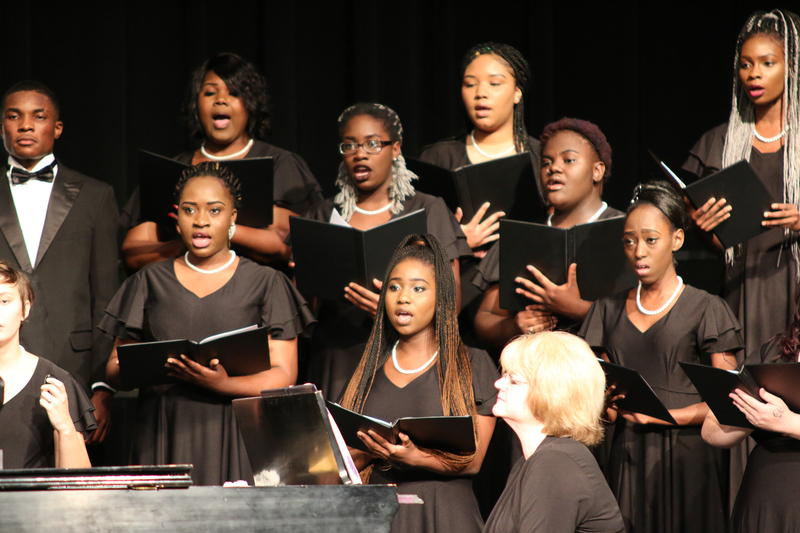 The inaugural concert for the Women’s and Men’s Choirs at Stephen F. Austin State University will feature the theme of “Mars and Venus” when the two choirs perform at 7:30 p.m. Friday, Oct. 26, in Cole Concert Hall on the SFA campus. Stephen F. Austin State University music faculty member Nathan Nabb and collaborative accompanist Hyun Ji Oh will present a saxophone and piano recital at 7:30 p.m. Monday, Oct. 29, in Cole Concert Hall on the SFA campus. The program features Sonata in A by Cesar Franck, Sonate posthume by Maurice Ravel and Sonate in C# by Fernande Decruck. The Stephen F. Austin State University School of Theatre will present Deborah Brevoort’s full-length play “The Women of Lockerbie” at 7:30 p.m. Friday, Nov. 2, and at 2 and 7:30 p.m. Saturday. Nov. 3, in the Downstage Theatre on the SFA campus. 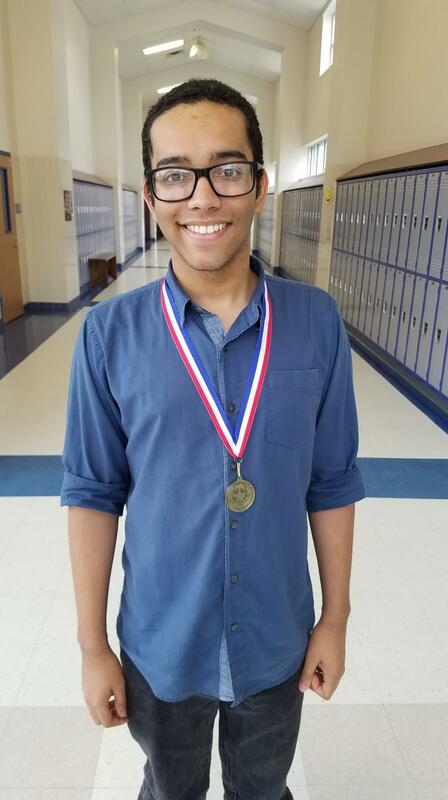 Directed by Lewisville senior Marie Phillips, the play takes place seven years after the tragic Pan Am 103 crash. Americans Bill and Madeline Livingston visit the site in Lockerbie, Scotland, to attend a vigil and mourn the death of their son. The Stephen F. Austin State University School of Theatre will present the musical “Oklahoma!” at 7:30 nightly Nov. 6 through 10 in W.M. Turner Auditorium on the SFA campus. 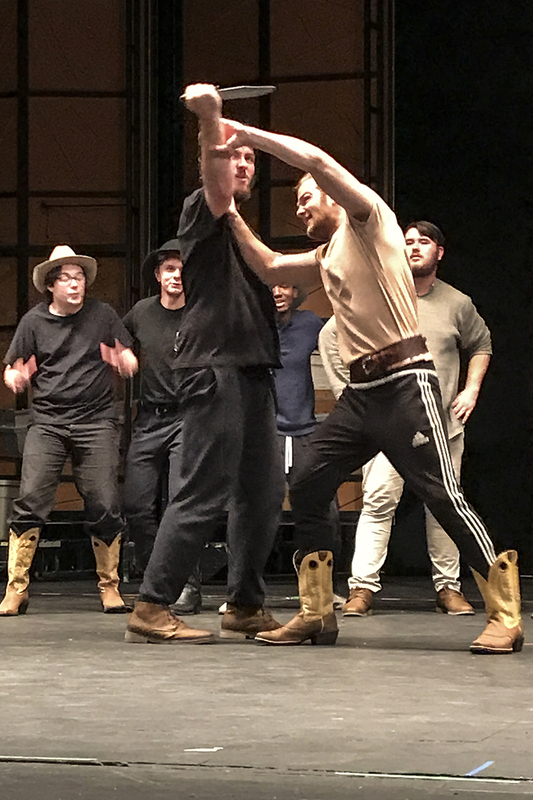 The production features Richard Rodgers and Oscan Hammerstein II’s Pulitzer Prize-winning musical about two headstrong romantics’ bumpy road to true love and the high-spirited rivalry between farmers and cowboys at the turn of the 20th century. Single tickets are $15 for adults, $10 for seniors and $7.50 for youth. For tickets or more information, call the SFA Fine Arts Box Office at (936) 468-6407 or visit www.theatre.sfasu.edu. The Children’s Performing Arts Series at Stephen F. Austin State University will present two performances of the holiday favorite “’Twas the Night Before Christmas” on Tuesday, Nov. 27. Inspired by the timeless poem “A Visit from St. Nicholas” and the real life of its author, Clement Moore, this hilarious musical introduces Santa Claus in a particularly beneficent light. This production by Virginia Repertory Theatre targets students in kindergarten through fifth grade. The College of Fine Arts at Stephen F. Austin State University will present an Encore Event performance with The Purple Xperience, the most authentic Prince tribute show in the world, at 7:30 p.m. Friday, Nov. 30, in W.M. Turner Auditorium on the SFA campus. Encore Event tickets are $45 for Section A seating; $36 for Section B seating; and $27 for Section C seating. Discounts are available for seniors, students, children and SFA faculty and staff members. This performance is sponsored in part by Lehmann Eye Center. After falling to #11 Tyler Junior College, the 13thranked Fillies picked up 4 solid road wins this weekend at the Missouri State-West Plains Grizzly Invitational, improving to 22-5 overall on the season. In the mid-week conference showdown when Panola fell to TJC (21-25, 23-25, 20-25), the duo of Rebecca Rabius and Alyssa Lozoya led the offense with 8 kills apiece while MiKayla Ware added 6. Setter Bri McGown led with 16 assists and Molly Harris added 12. Hannah Ramirez led defensively with 10 digs and MiKayla Ware picked up 7; while Thaynara Godoi notched 2 block assists and 1 solo. In their first match of the weekend, Panola defeated Hutchinson CC (25-23, 25-11, 22-25, 25-22). Rebecca Rabius led with 13 kills, Thaynara Godoi picked up 8, and Sabrina de Lima added 6. Molly Harris dished out 39 assists with 12 digs in the win. Godoi dominated at the net with 6 block assists, Rabius added 5 block assists and 1 solo, and Alyssa Lozoya added 4 block assists with 1 solo. Hannah Floyd matched her then career high and led the floor defense with 31 digs. Against the home team, Missouri St West Plains, the Fillies battled out a 5-set victory (25-21, 23-25, 25-20, 20-25, 15-12). Daphinie Correa stepped up offensively with 14 kills, Rabius pounded out 13, MiKayla Ware added 9, and Alyssa Lozoya chipped in 8. Molly Harris controlled the offense by dishing out a career-high 53 assists, while Godoi picked up 2 block assists with 1 solo. Defensively, Hannah Floyd bested her career-high in digs racking up 32, while Hannah Ramirez stepped up notching 23 of her own. In day 2 of the Grizzly Invite Panola swept Jefferson College (25-13, 25-20, 25-17). Thaynara Godoi led with 11 kills, Rebecca Rabius tallied 10, and Alyssa Lozoya chipped in 8. Molly Harris dished out 22 assists and Bri McGown added 20. Defensively, MiKayla Ware led with 14 digs, while the duo of Hannah Floyd and Hannah Ramirez picked up 10 apiece followed by 9 from McGown. The final match of the weekend came with a hard fought 4-set victory over Indian Hills (23-25, 25-23, 25-15, 25-21). Once again Rabius led offensively with 10 kills, Ware added 8, and Godoi chipped in 7. Harris dished out 20 assists with McGown adding 14. Hannah Ramirez led with 19 digs, Ware and Harris picked up 8 each, and McKenzie Dimery added 7 of her own. Godoi led at the net with 2 block assists and 3 solo blocks. Panola returns to action Wednesday night as they host Navarro College for their final match of Region XIV zone play at 7pm in Arthur Johnson Gymnasium. 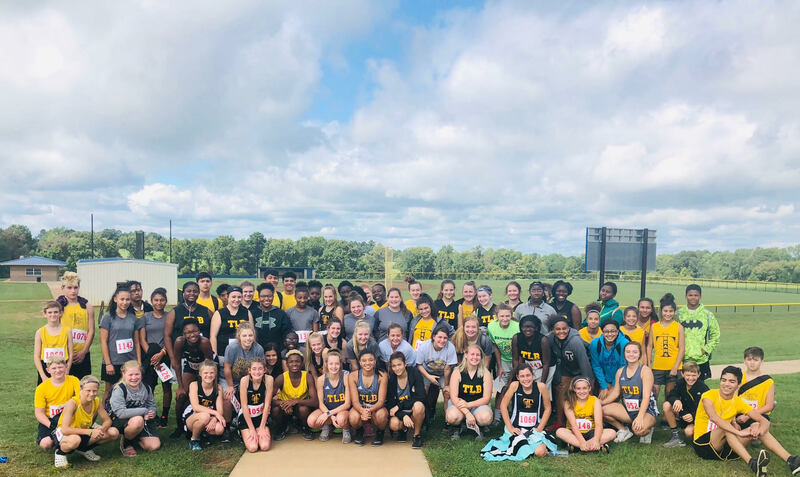 Battle of the Attoyac - Bears vs. Bulldogs tonight – There - @ 7:30 p.m.
Bear and Lady Bear Cross Country News - Timpson Cross Country teams competed in their district meet on Wednesday in New Summerfield. 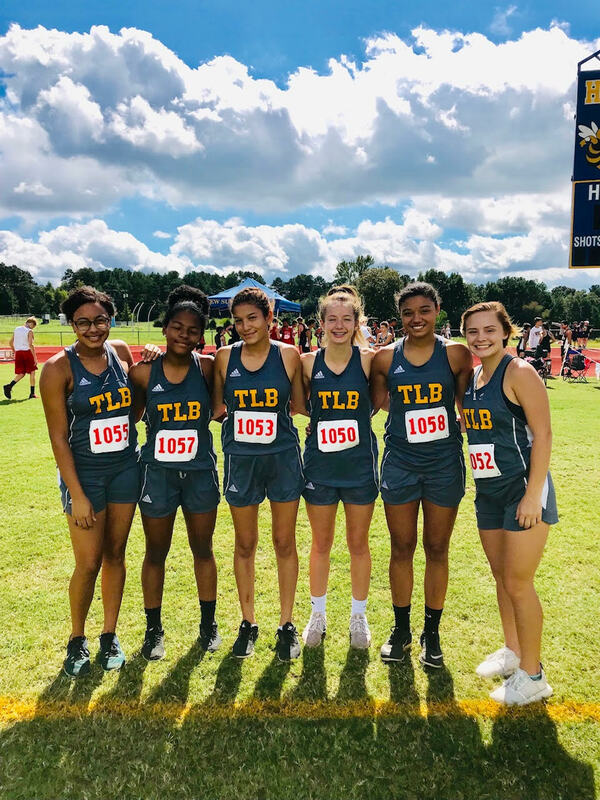 Amiyah Soto won the varsity division with a time of 13:10 and her teammates Harlie Ware (8th), Jaycee Campbell (11th), Kamryn Courtney (13th), Ashton Harris (20th) and Kelley Garcia (23rd) placed second as a team and will run at the Regional Meet on Monday October 22nd in Huntsville. Our JV were pretty amazing as well with McKenzie Wynn finishing 2nd, Nataley Smith 6th, Johna Kruse 7th, Emma Ramsey 9th and Jaeli Standridge 16th, making them JV district champions. Our JH girls, Alleigh Campbell 6th, McKenna Wynn 14th, Kallie Solomon 17th, Blair Askins 22nd and Da’Chelle Garner 29th, placed 2nd as a team in district. Great job all you Lady Bears!!! Varsity Boys team Brandon Robles, Jose Guadalupe Alvarado, Carman Flores, Santiago Flores, and Juan Galavis placed 5th and JH boys Tyler Lane, Terry Bussey, Conner Milford, Dillon Crawford, and Jose Dejesus Alvarado placed 4th in our district. Great job Bears!!! 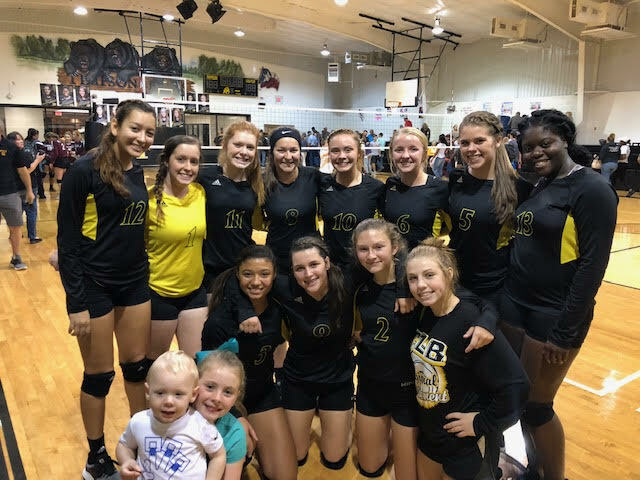 TLB Volleyball News – TLB volleyball girls defeated Garrison in 3 on Tuesday night making them 26-5 for the season and 8-1 in district!! The Lady Bear’s next game will be Tuesday in Shelbyville. 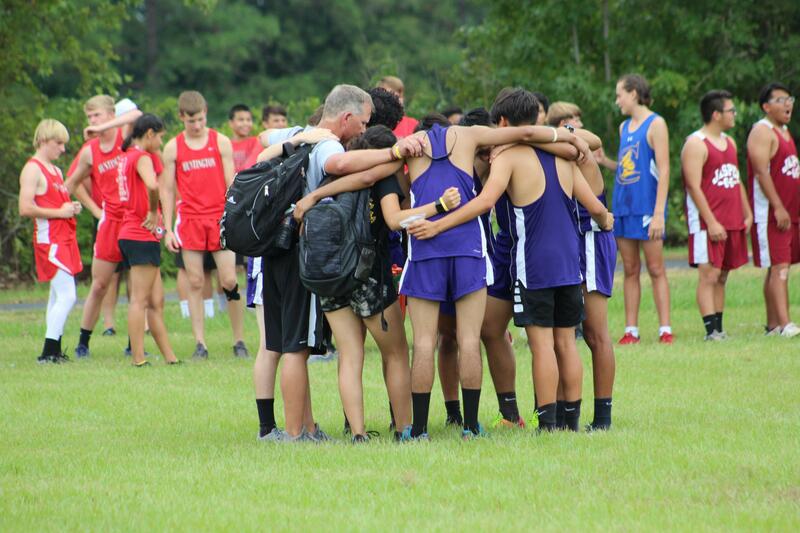 Both Varsity Cross Country teams will attend the regional meet on October 22 at Sam Houston University. Varsity boys placed second with a total of 38 points. Senior Alex Huerta placed 2nd (17.09), Junior Jesus Gonzalez placed 5th (17.19), Junior Jonathan Bustos placed 8th (17.46), Sophomore Adrian Huerta placed 10th (18.11), Senior Edwin Morin placed 13th (18.24), Junior Eliseo Delacruz placed 14th (18.31), Sophomore Benjamin Garcia placed 22nd (19.45). Varsity girls also placed second with a total of 69 points. 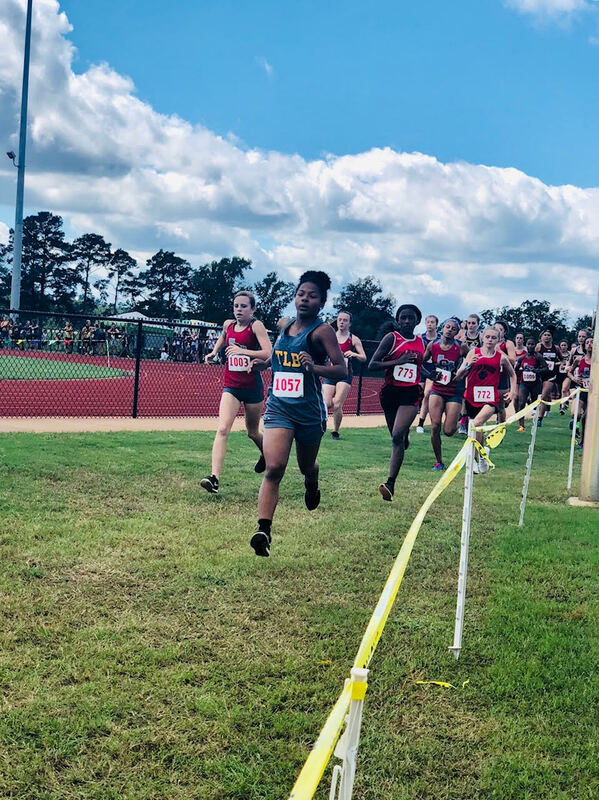 Senior Daniela Medina placed 10th (14.13), Junior Jessica Alvarado placed 11th (14.19) Freshman Gracie Whisenant placed 15th (14.48), Sophomore Ally Jones placed 16th (15.01), Junior Angela Morales placed 17th (15.05), Senior Valerie Ramirez placed 26th (16.44), Senior Cheyenne Byrnes placed 30th (17.39). Junior Varsity runner Leo Alvarado placed 6th (20.44). Middle school boys placed second as a team. Caleb Garcia, Omar Aviles, and Rafael Gonzales all placed in the top 10. Middle school runner Yuliana Garcia placed 8th (11.03). There will be NO SCHOOL Monday, October 15th for San Augustine ISD due to professional development day. Panola Pipers provided entertainment. 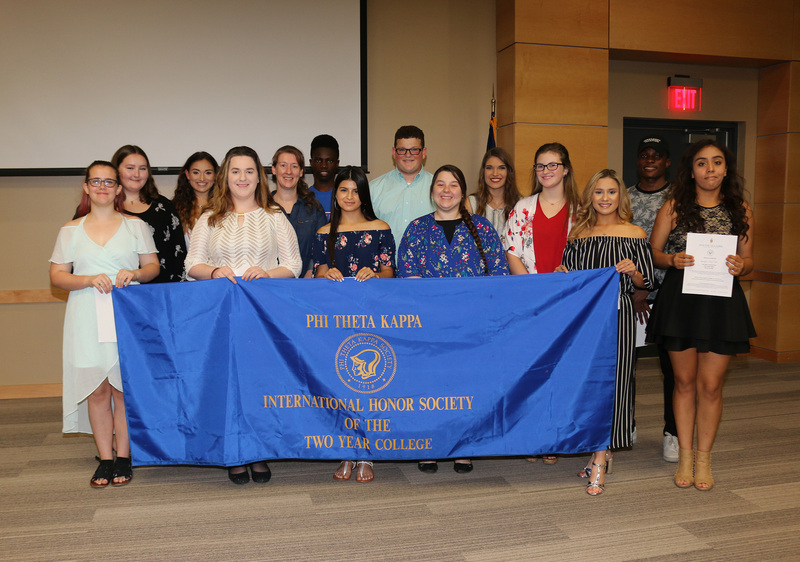 Singers include, front row, from left, Hunter Moon of Beckville; Sydnee Taylor of Carthage; Pamela Painter of Marshall; Joy Jekayinoluwa of Grand Prairie; Mia Sartor of Carthage; Latiffanie Gardner of Center; back row, from left, Aaron Tello of Center; Michaela Garrett of Center; Kacia Johnson of Tatum; Emma Harden of Bullard, and Toluwani Ayodele of Lagos, Nigeria. The subvarsity Roughrider football team will play a Pink-Out game against Tarkington at 5 p.m. at Roughrider Stadium on Thursday, October 11. Fire Prevention Week - Since 1922, the National Fire Protection Association has sponsored the public observance of Fire Prevention Week. In 1925, President Calvin Coolidge proclaimed Fire Prevention Week a national observance, making it the longest-running public health observance in our country. 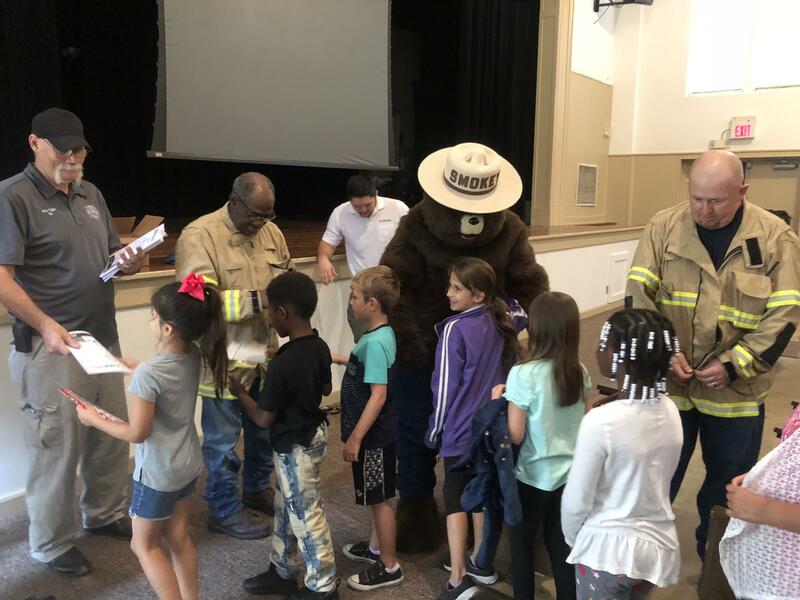 During Fire Prevention Week, children, adults, and teachers learn how to stay safe in case of a fire. Firefighters provide lifesaving public education in an effort to drastically decrease casualties caused by fires. Members of the Timpson Volunteer Fire Department joined our students on Monday for breakfast. 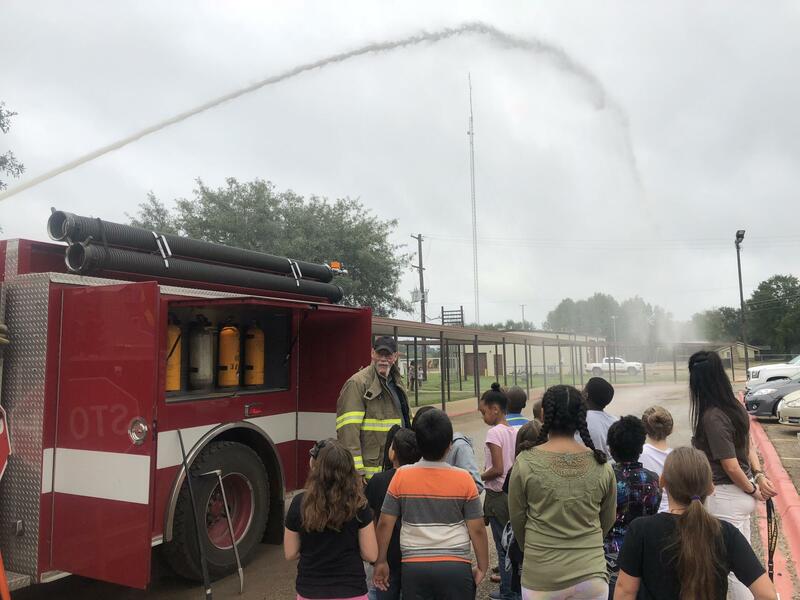 Then the firemen showed students around the firetruck and described some of the tools that are utilized while fighting fires. Later, members of the Forest Service joined the group, along with surprise guest, SMOKEY THE BEAR!! 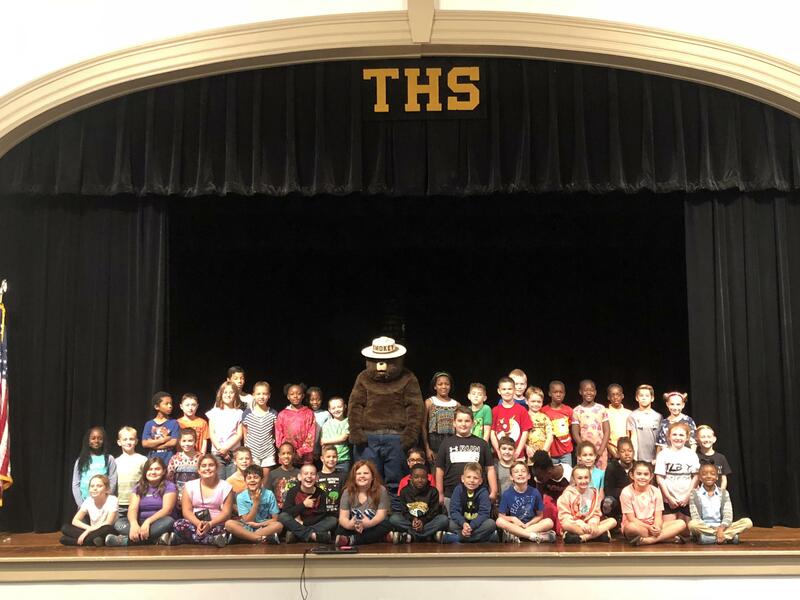 Thanks to the Timpson Volunteer Fire Department, the Forest Service and our special friend Smokey for the visit! The Dragon Band will perform at the NAMMB (National Association of Military Marching Bands) Pre-UIL Marching Contest in Carthage, TX at Bulldog Stadium on Saturday October 13 at 11am. The Dragon Band’s Region 21 UIL Marching Contest performance will be on Saturday October 20 at 11:15am in Nacogdoches, TX at Homer Bryce Stadium (SFA). Joaquin ISD will hold a Substitute Orientation and Training on Thursday, October 18th, at 10:00 a.m. at the Administration Office Board Room. 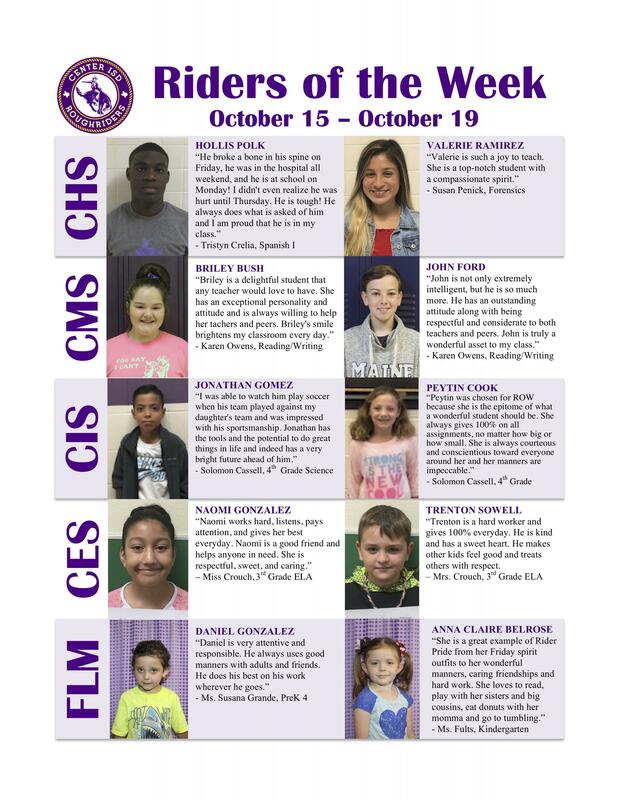 If you are interested in being a substitute for Joaquin ISD, please contact Donna Vergo, Human Resources at 936-269-3128. 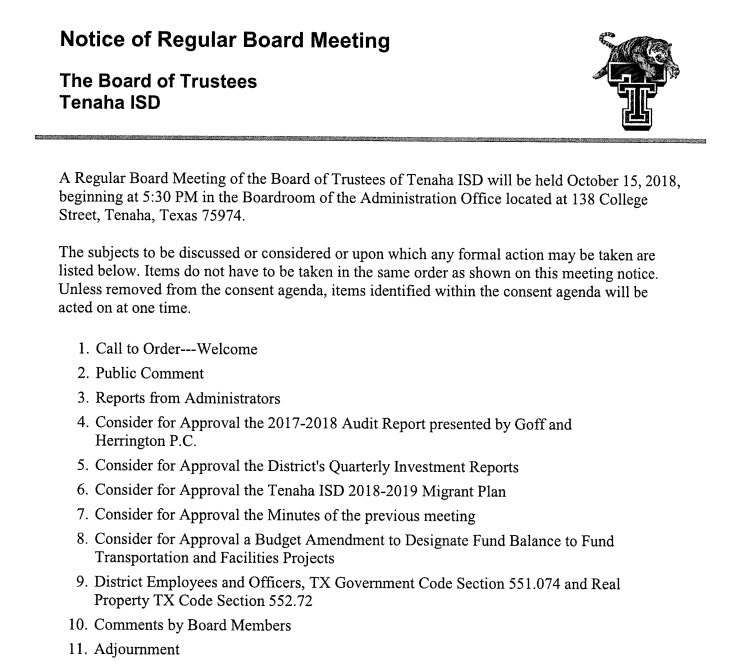 A Regular Meeting of the Board of Trustees of Center ISD will be held October 11, 2018, beginning at 12:00 PM in the Center High School Library 658 Roughrider Drive Center, Texas 75935. 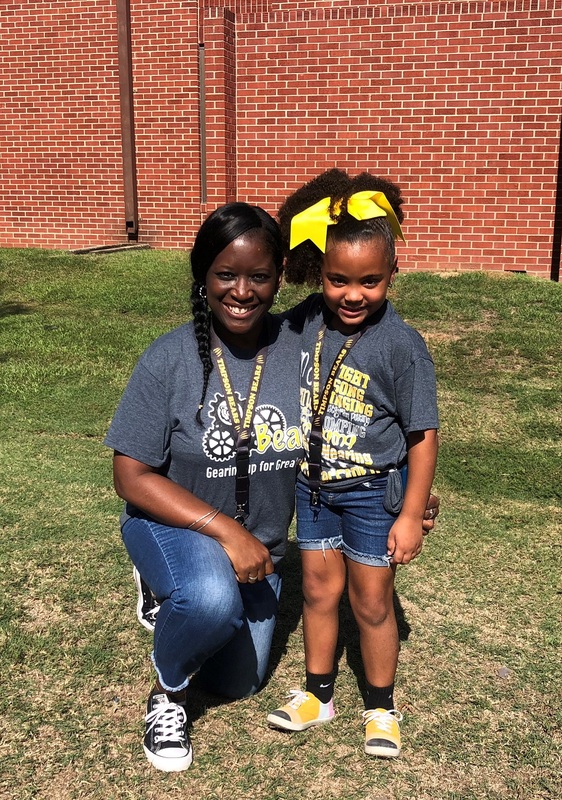 Congratulations to First Grader Miss Peyton Anthony! 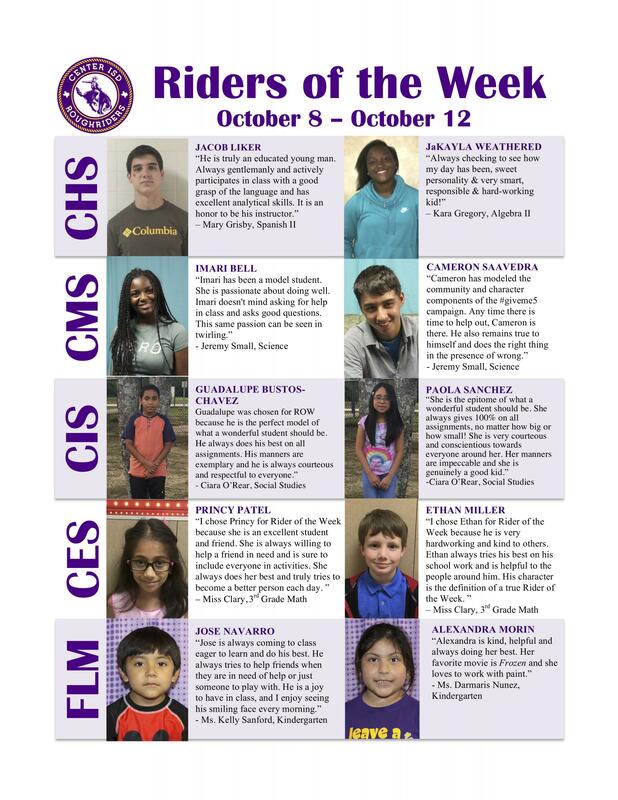 She was Student of the Week last week. Way to Go!!! See the attached photo of Peyton with First-Grade Teacher Mrs. Shilisa Bolton. 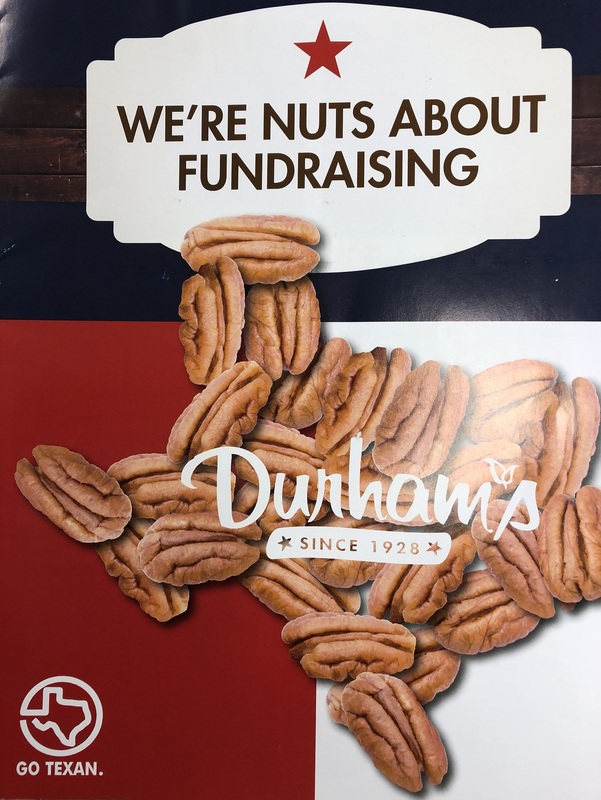 FCCLA News - Timpson ISD FCCLA will be selling Durham Pecan Products now through Friday, October 19th. Get your nuts for cooking and snacking just in time for the holidays while helping our students in FCCLA!!! 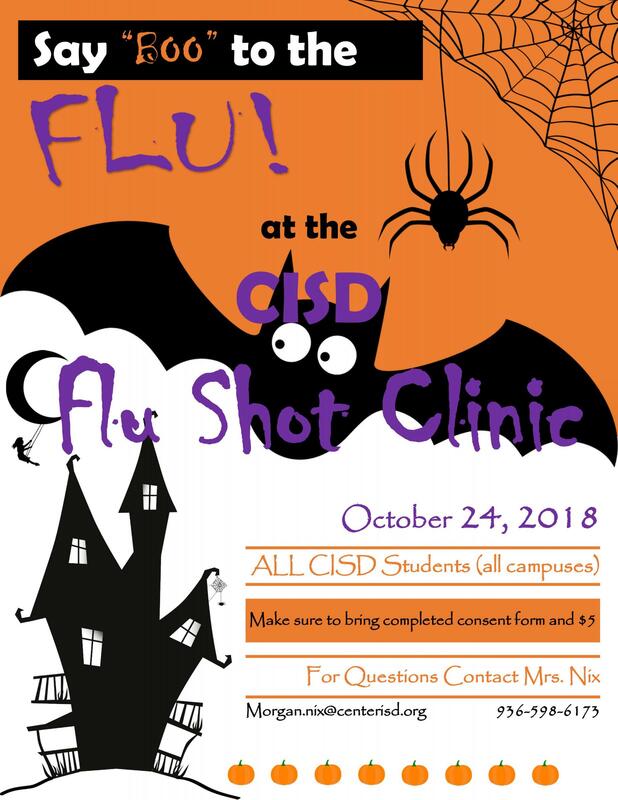 For more info contact Danielle Smith at dsmith@timpsonisd.com. We appreciate your support!! The Joaquin High School Beta and FCCLA members are currently selling Pink Out shirts! Each shirt is $15 and available in sizes youth small- adult 5xl. Please see a Beta or FCCLA member to order. 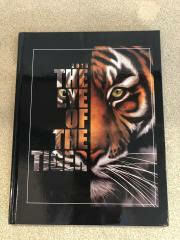 All orders are due, with payment, to Mrs. Lisa Barton or Mrs. Amanda Hall October 15th. All proceeds go towards the fight against breast cancer. The Pink Out game is scheduled for October. 26th. Friday, Oct. 12th is Pink Out Night at Dragon Stadium. There will be Pink balloons for sale at the gate! Dragons vs Deweyville Kick off at 7:30 pm Wear Pink! The Cole Art Center @ The Old Opera House will partner with the Nacogdoches Public Library and its NEA Big Read Nacogdoches project to present a screening of a new William Shakespeare film adaptation by Casey Wilder Mott. A free, one-night screening of Mott’s “A Midsummer Night’s Dream” is at 7 p.m. Friday, Oct. 12, at Cole Art Center. This production is a fresh and stylish reinvention that takes an entirely different approach to one of Shakespeare’s most beloved creations. The NEA Big Read is an initiative of the National Endowment for the Arts in partnership with Arts Midwest. The Cole Art Center is Stephen F. Austin State University’s historic downtown art gallery, located at 329 E. Main St. For more information, call (936) 468-1131. 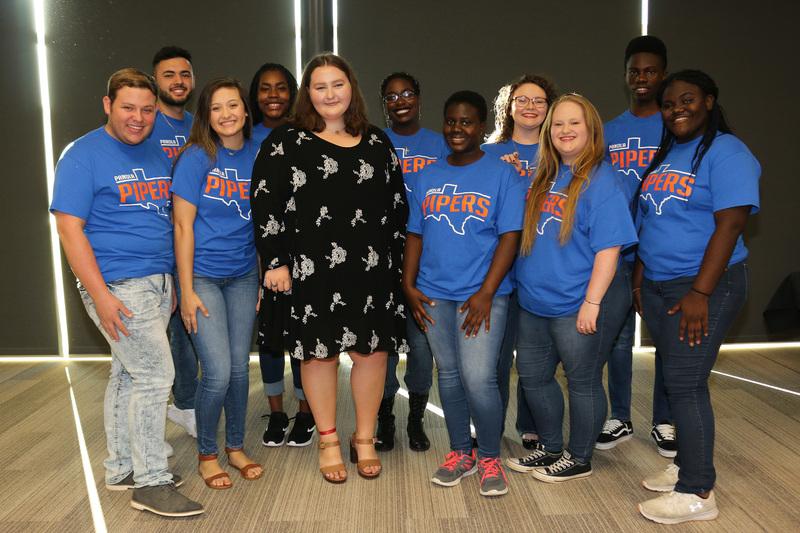 Stephen F. Austin State University’s A Cappella Choir will present “Music of Our Time” when the choral ensemble performs its first concert of the fall semester at 7:30 p.m. Friday, Oct. 19, in Cole Concert Hall on the SFA campus. The performance will showcase works by Norman Dello Joio, Samuel Barber, Alfred Schnittke, Michael Ostrzyga Zden?k Lukáš, Jake Runestad, Jocelyn Hagen, Carol Barnett, Joan Szymko and others. The School of Art at Stephen F. Austin State University and its art galleries will present an exhibition of works by artist Kymia Nawabi Oct. 25 through Dec. 30 in the Ledbetter Gallery of The Cole Art Center @ The Old Opera House in downtown Nacogdoches. Refined, a biennial exhibition of jewelry and metalwork hosted by the art metals program in the School of Art at Stephen F. Austin State University, will open with a reception at 6 p.m. Friday, Oct. 26, in Reavley Gallery in The Cole Art Center @ The Old Opera House. Juror for Refined Art Metals/Jewelry Competition and Exhibition is Perry A. Price, executive director of Houston Center for Contemporary Craft in Houston. Price will give a lecture at 5:15 p.m. prior to the reception. The reception is sponsored by the SFA Friends of the Visual Arts, The Flower Shop, Bill Arscott and the Nacogdoches Junior Forum. Admission to the exhibition and reception is free. Cole Art Center is located at 329 E. Main St. For more information, call (936) 468-1131. Katie Dunn's PreK-4 class is studying community helpers this month. Parents and other volunteers from around Center visited F.L. Moffett to share their jobs with the students. They showed off their uniforms and tools and explained what they did each day at work. 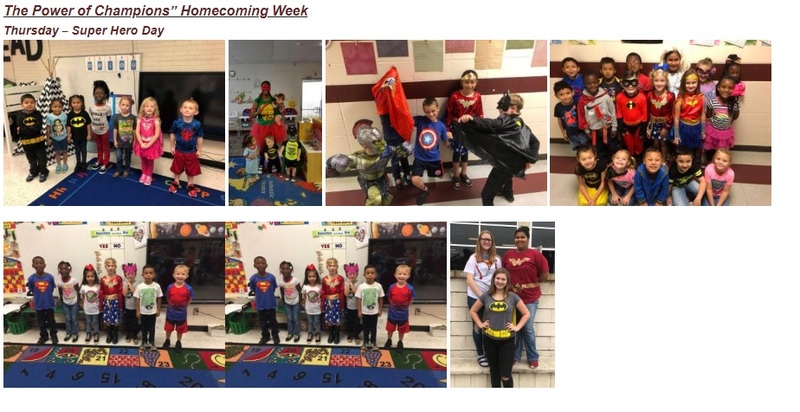 Mrs. Dunn, teacher aide Holly Nichols, and the kiddos of FLM would like to thank everyone who participated! CHS continues Meal Recovery as a new school year begins. Culinary students Sequin Pharris and Linda Camacho have worked with Southwest Foods cafeteria staff to recover 800 meals during the month of September; meals are shared with the local Meals-on-Wheels program. Both students have their Food Handlers certification and are a part of the CHS Culinary Arts program. 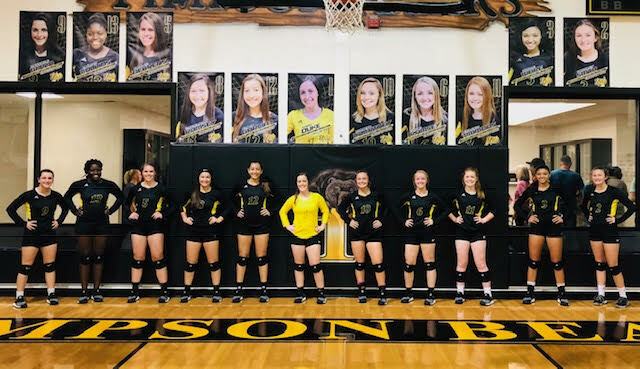 Fri. Oct. 5 – Bear Football vs. Harleton – Here @ 7:30 p.m.
----------------- Volleyball vs. San Augustine – There @ 4:30 p.m.
----------------- JH Volleyball vs. Shelbyville - Here @ 4:30 p.m.
----------------- Volleyball vs. Garrison – Home @ 4:30 p.m.
Fri. Oct. 12 – Bear Football vs. Garrison - There @ 7:30 p.m.
Student of the Week - Second grader, Bray Booker, was nominated as the Elementary Student of the Week at last Friday's Pep Rally. The picture attached shows Bray with 2nd grade teacher Mrs. Taylor Ann Therwhanger. Great job Bray! FCCLA News - FCCLA will be sponsoring the Cancer Awareness event at Friday’s football game against Harleton. Merchandise will be sold and all proceeds go to local cancer patients and their caregivers. An example of the merchandise is attached. April Ramsey: Had two second places in the Simmental Show and made it to the finals in senior showmanship. Ally Kimbro- Had three class winners, Reserve Grand Champion Santa Gertrudis, and Reserve Grand Champion Star-5. She also made it to the finals in intermediate showmanship. Baylor Kimbro- Had two class winners and a 5th place, Baylor also made it to the finals in Junior Showmanship. Brecken Kimbro- placed 4th in his class. Mayson Harbison- placed 4th place in class. Cale Cornelius- was second in her class. Baylor Kimbro- Grand Champion Santa Gertrudis, Reserve Grand Champion Santa Gertrudis, class winner with his star 5 heifer, and was chosen by the judge to compete in showmanship. Baylor also had the Reserve Grand Champion ARB Steer. Ally Kimbro- had one class winner, one second place in class and was also given a callback for showmanship. Brecken Kimbro- won his class and was given a showmanship callback. Mayson Harbison- had a second in class. Cale Cornelius- won her class. Miss Margo Hooper reports this is currently the largest heifer show team Timpson has had since 2009. We have 6 students showing. The heifer Show team`s next stop is the Texas State Fair this month where we will have 5 students showing 18 heifers. They will compete in not only the Junior Show but also in the Pan-American Show (this is open to anyone in the country not just students-ranches and major breeders). We currently have 8 pens of chickens showing through the Timpson FFA. They will compete at the Poultry Festival October 6th in Center, Texas. We will be picking up pigs during the next couple weeks. 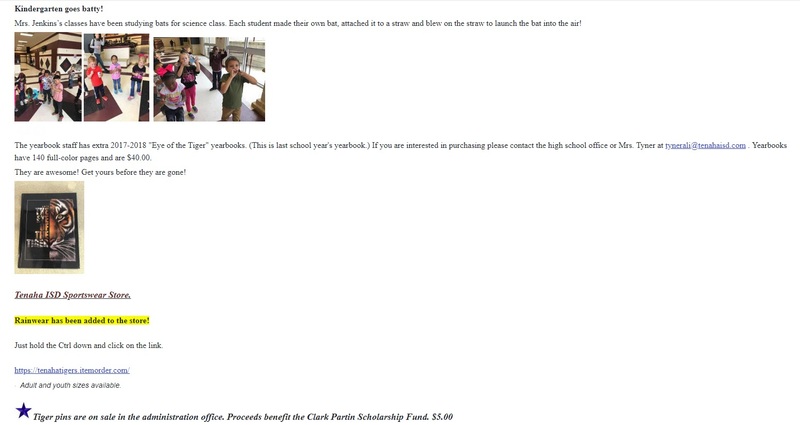 So far we have 2 students who have expressed interest in showing a pig. Our District LDE (Leadership Development Event) contest is scheduled for November 6th where we will have students competing in Job Interview, Sr. Chapter Conducting, Sr. Creed Speaking, Greenhand Quiz Team, Sr. Quiz Team, and possibly Farm Skills. 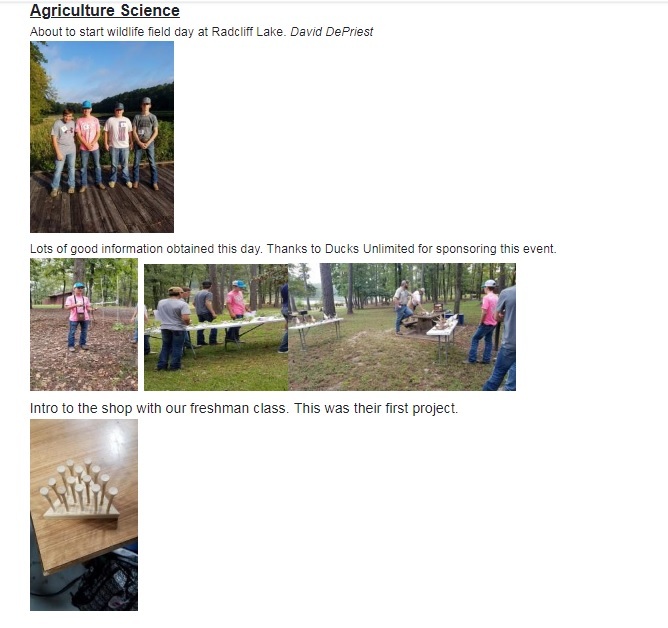 Great work FFA students!! A regular meeting of the Board of Trustees of the Shelbyville Independent School District will be held on Monday, October 8, 2018, beginning at 6:00 p.m. in the Board Room of the Shelbyville Independent School District at 343 FM 417 West, Shelbyville, Texas. The Panola College Rodeo Team was back in action September 28th and 29th at Bar None Cowboy Church in Tatum, Texas. The Ponies and Fillies had a great rodeo and we want to thank everyone that came out to watch. Here are some of the athletes who represented Panola well. Ross Freeman, Bull Rider from Kountze, Texas, made a great ride for 81 points and a second place finish. Ross went to a lot of rodeos this Summer and has matured into a very physical and mental athlete. “Ross is going to be a great asset to our team and is definitely going to be someone for us to watch in the future of Pro Rodeo,” says Coach Collins. Seth Rustin, freshman criminal justice major, won 3rd place in the Bull Riding event with a 76-point ride. Seth has been riding well in practice and working on little things to help make his rides way more successful. Seth is eager to work and takes care of business well, be looking for his name a lot here this season. Maison Davis, freshman from Kilgore, Texas placed 5th in the barrel racing event with a 17.280. Maison is a three event cowgirl with a hard driven determination, great attitude, and a burning desire to win. Maison’s other two events breakaway and goat tying will be something to be watching for in the future. Jackson Williams, Steer Wrestler from Greenbrier, Arkansas, laid his steer down in 6.8 seconds for a sixth place finish. The cattle were big and rank and Williams weighing in at 145 seemed to be a David and Goliath match up. Jackson was up for the task and will be at the upcoming rodeos as well. Campbell Grover, sophomore from Purvis, Mississippi ran the clover leaf pattern in 17.320 seconds for an 8th place finish. Her and her horse P have been working hard and beginning to reap the rewards of their labor. P is just a five-year-old that Campbell started in the barrel racing event last year, P really blew up and grew some over the Summer making her a top horse in the Southern Region. Panola College Rodeo Team will travel to Uvalde, Texas October 5th and 6th for the second NIRA Southern Region Rodeo. The NHS "Paint Your Parking Spot"
Saturday, October 6 from 7:30 a.m. - 7:30 p.m.
Sunday, October 7 from 8 a.m. - 7 p.m. The parking lot will be blocked off to all vehicle traffic on those days. 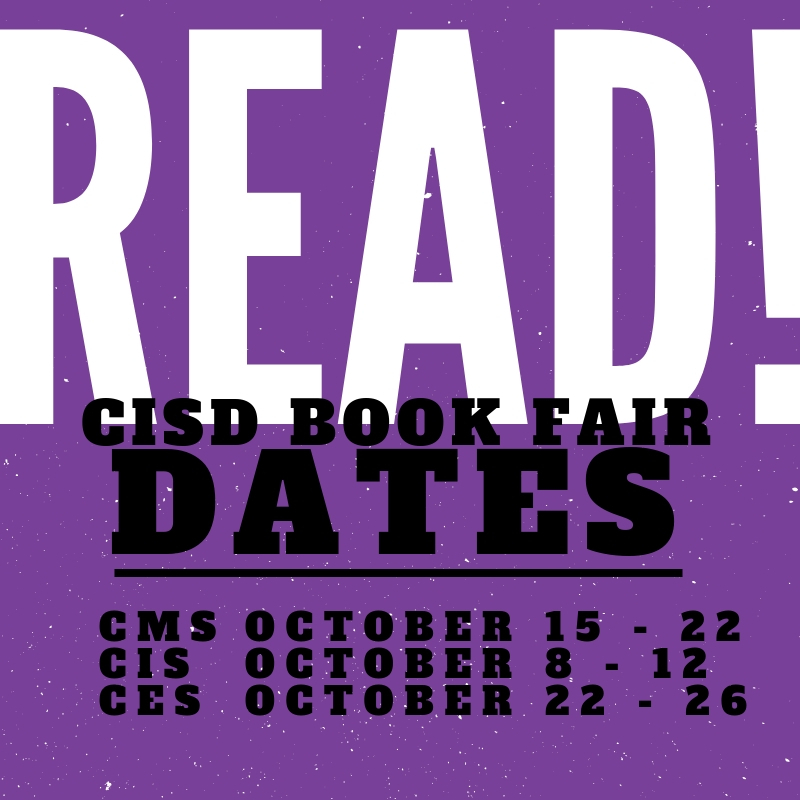 Events at CHS Roughrider Stadium on Saturday and Sunday should plan to park at FLM. Clean up is your responsibility! Any messes left behind will result in forfeiting the parking spot! Bring your own garbage bags, buckets for rinsing rollers, etc. Anyone can come help students paint. Food and drink (non-alcoholic) are allowed. No smoking on the school campus, please. Park at the AG shop, tennis courts or at Panola College. The student lot will be blocked off to vehicle traffic. Canopy tents are allowed for shade. In case of weather delay, updates will be posted on social media. The Wind Symphony and Symphonic Band at Stephen F. Austin State University will present "From Dawn to Dusk," a program of works that features music by Viet Cuong. Cuong, a rising composer, will be in residency with the SFA bands in mid-October, just prior to this concert, which is at 7:30 p.m. Tuesday, Oct. 16, in W.M. Turner Auditorium. 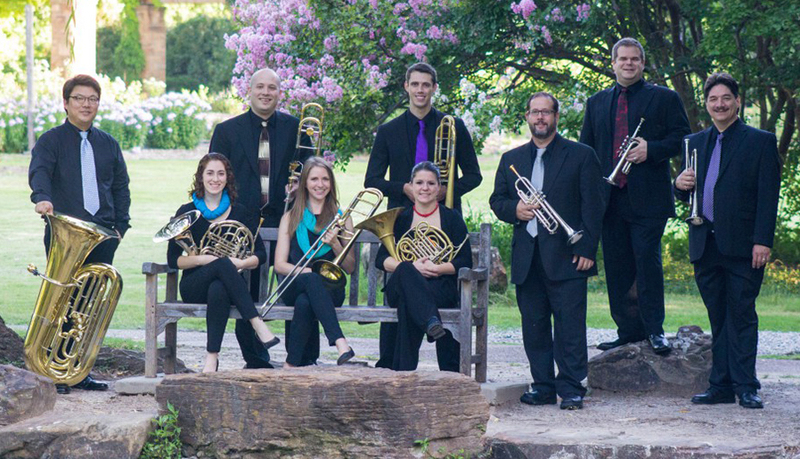 The program will also showcase Dr. Deb Scott, professor of trombone at SFA, as soloist. Stephen F. Austin State University music faculty members J.D. Salas and Daniel Chapa will present a tuba and euphonium recital with collaborative pianist Hyun Ji Oh in the opening event of the 14th annual SFA Octubafest celebration.